This article is about the energy company. For other uses, see BP (disambiguation). BP plc (formerly The British Petroleum Company plc, British Petroleum and BP Amoco plc) is a British multinational oil and gas company headquartered in London, United Kingdom. It is one of the world's seven oil and gas "supermajors", whose performance in 2012 made it the world's sixth-largest oil and gas company, the sixth-largest energy company by market capitalization and the company with the world's 12th-largest revenue (turnover). It is a vertically integrated company operating in all areas of the oil and gas industry, including exploration and production, refining, distribution and marketing, petrochemicals, power generation and trading. It also has renewable energy interests in biofuels and wind power. As of 31 December 2017[update], BP had operations in 70 countries worldwide, produced around 3.6 million barrels per day (570,000 m3/d) of oil equivalent, and had total proved reserves of 18.441 billion barrels (2.9319×109 m3) of oil equivalent. The company has around 18,300 service stations worldwide. Its largest division is BP America in the United States. In Russia, BP owns a 19.75% stake in Rosneft, the world's largest publicly traded oil and gas company by hydrocarbon reserves and production. BP has a primary listing on the London Stock Exchange and is a constituent of the FTSE 100 Index. It has secondary listings on the Frankfurt Stock Exchange and the New York Stock Exchange. BP's origins date back to the founding of the Anglo-Persian Oil Company in 1908, established as a subsidiary of Burmah Oil Company to exploit oil discoveries in Iran. In 1935, it became the Anglo-Iranian Oil Company and in 1954 British Petroleum. In 1959, the company expanded beyond the Middle East to Alaska and it was one of the first companies to strike oil in the North Sea. British Petroleum acquired majority control of Standard Oil of Ohio in 1978. Formerly majority state-owned, the British government privatised the company in stages between 1979 and 1987. British Petroleum merged with Amoco in 1998, becoming BP Amoco plc, and acquired ARCO and Burmah Castrol in 2000, becoming BP plc in 2001. From 2003 to 2013, BP was a partner in the TNK-BP joint venture in Russia. BP has been directly involved in several major environmental and safety incidents. Among them were the 2005 Texas City Refinery explosion, which caused the death of 15 workers and resulted in a record-setting OSHA fine; Britain's largest oil spill, the wreck of Torrey Canyon in 1967; and the 2006 Prudhoe Bay oil spill, the largest oil spill on Alaska's North Slope, which resulted in a US$25 million civil penalty, the largest per-barrel penalty at that time for an oil spill. The 2010 Deepwater Horizon oil spill, the largest accidental release of oil into marine waters in history, resulted in severe environmental, health and economic consequences, and serious legal and public relations repercussions for BP. 1.8 million US gallons (43,000 bbl; 6,800 m3) of Corexit oil dispersant were used in the cleanup response, becoming the largest application of such chemicals in US history. The company pleaded guilty to 11 counts of felony manslaughter, two misdemeanors, one felony count of lying to Congress, and agreed to pay more than $4.5 billion in fines and penalties, the largest criminal resolution in US history. On 2 July 2015, BP and five states announced an $18.7 billion settlement to be used for Clean Water Act penalties and various claims. In May 1908 a group of British geologists discovered a large amount of oil at Masjid-i-Suleiman in Mohammerah, today located in the province of Khuzestan. It was the first commercially significant find of oil in the Middle East. William Knox D'Arcy, by contract with the Emir of Mohammerah, Sheikh Khaz'al Khan al-Kaabi, obtained permission to explore for oil for the first time in the Middle East, an event which changed the history of the entire region. The oil discovery led to petrochemical industry development and also the establishment of industries that strongly depended on oil. On 14 April 1909, the Anglo-Persian Oil Company (APOC) was incorporated as a subsidiary of Burmah Oil Company. Some of the shares were sold to the public. 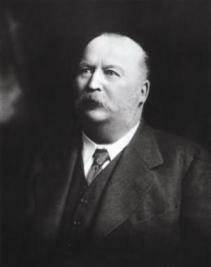 The first chairman and minority shareholder of the company became Lord Strathcona. Immediately after establishing the company, the British government asked Percy Cox, British resident to Bushehr, to negotiate an agreement with Khaz'al for APOC to obtain a site on Abadan Island for a refinery, depot, storage tanks, and other operations. The refinery was built and began operating in 1912. In 1913, the British government acquired a controlling interest (50.0025%) in the company and at the suggestion of Winston Churchill, the British navy switched from coal to oil. In 1914, APOC signed a 30-year contract with the British Admiralty for supplying oil for the Royal Navy at the fixed price. In 1915, APOC established its shipping subsidiary the British Tanker Company and in 1916 it acquired the British Petroleum Company which was a marketing arm of the German Europäische Petroleum Union in Britain. In 1919, the company became a shale-oil producer by establishing a subsidiary named Scottish Oils which merged remaining Scottish oil-shale industries. After World War I, APOC started marketing its products in Continental Europe and acquired stakes in the local marketing companies in several European countries. Refineries were built in Llandarcy in Wales (the first refinery in the United Kingdom) and Grangemouth in Scotland. It also acquired the controlling stake in the Courchelettes refinery in France and formed with the Government of Australia a partnership named Commonwealth Oil Refineries, which built the Australian's first refinery in Laverton, Victoria. In 1923, Burmah employed Winston Churchill as a paid consultant to lobby the British government to allow APOC have exclusive rights to Persian oil resources, which were subsequently granted by the Iranian monarchy. APOC and the Armenian businessman Calouste Gulbenkian were the driving forces behind the creation of Turkish Petroleum Company (TPC) in 1912 to explore oil in Mesopotamia (now Iraq); and by 1914, APOC held 50% of TPC shares. In 1925, TPC received concession in the Mesopotamian oil resources from the Iraqi government under British mandate. TPC finally struck oil in Iraq on 14 October 1927. By 1928, the APOC's shareholding in TPC, which by now was named Iraq Petroleum Company (IPC), was reduced to 23.75%; as the result of the changing geopolitics post Ottoman empire break-up, and the Red Line Agreement. Relations were generally cordial between the pro-west Hashemite Monarchy (1932–58) in Iraq and IPC, in spite of disputes centered on Iraq's wish for greater involvement and more royalties. During the 1928–68 time period, IPC monopolised oil exploration inside the Red Line; excluding Saudi Arabia and Bahrain. In 1927, Burmah Oil and Royal Dutch Shell formed the joint marketing company Burmah-Shell. In 1928, APOC and Shell formed the Consolidated Petroleum Company for sale and marketing in Cyprus, South Africa and Ceylon, which in 1932 followed by a joint marketing company Shell-Mex and BP in the United Kingdom. In 1937, AIOC and Shell formed the Shell/D'Arcy Exploration Partners partnership to explore for oil in Nigeria. The partnership was equally owned but operated by Shell. It was later replaced by Shell-D'Arcy Petroleum Development Company and Shell-BP Petroleum Development Company (now Shell Petroleum Development Company). In 1934, APOC and Gulf Oil founded the Kuwait Oil Company as an equally owned partnership. The oil concession rights were awarded to the company on 23 December 1934 and the company started drilling operations in 1936. In 1935, Rezā Shāh requested the international community to refer to Persia as 'Iran', which was reflected in the name change of APOC to the Anglo-Iranian Oil Company (AIOC). In 1947, British Petroleum Chemicals was incorporated as a joint venture of AIOC and The Distillers Company. In 1956, the company was renamed British Hydrocarbon Chemicals. Following World War II, nationalistic sentiments were on the rise in the Middle East; most notable being Iranian nationalism, and Arab Nationalism. In Iran, the AIOC and the pro-western Iranian government led by Prime Minister Ali Razmara resisted nationalist calls to revise AIOC's concession terms in Iran's favour. In March 1951, Razmara was assassinated and Mohammed Mossadeq, a nationalist, was elected as the new prime minister by the Majlis of Iran (parliament). In April 1951, the Iranian government nationalised the Iranian oil industry by unanimous vote, and the National Iranian Oil Company (NIOC) was formed, displacing the AIOC. The AIOC withdrew its management from Iran, and Britain organized an effective worldwide embargo of Iranian oil. The British government, which owned the AIOC, contested the nationalisation at the International Court of Justice at The Hague, but its complaint was dismissed. Prime Minister Churchill asked President Eisenhower for help in overthrowing Mossadeq. The anti-Mossadeq plan was orchestrated under the code-name 'Operation Ajax' by CIA, and 'Operation Boot' by SIS (MI6). The CIA and the British helped stage a coup in August 1953, the 1953 Iranian coup d'état, which established pro-Western general Fazlollah Zahedi as the new PM, and greatly strengthened the political power of Shah Mohammad Reza Pahlavi. The AIOC was able to return to Iran. In 1954, the AIOC became the British Petroleum Company. After the 1953 Iranian coup d'état, Iranian Oil Participants Ltd (IOP), a holding company, was founded in October 1954 in London to bring Iranian oil back to the international market. British Petroleum was a founding member of this company with 40% stake. IOP operated and managed oil facilities in Iran on behalf of NIOC. Similar to the Saudi-Aramco "50/50" agreement of 1950, the consortium agreed to share profits on a 50–50 basis with Iran, "but not to open its books to Iranian auditors or to allow Iranians onto its board of directors." In 1953, British Petroleum entered the Canadian market through the purchase of a minority stake in Calgary-based Triad Oil Company, and expanded further to Alaska in 1959, resulting discovery of oil at Prudhoe Bay in 1969. In 1956, its subsidiary D'Arcy Exploration Co. (Africa) Ltd. has been granted four oil concessions in Libya. In 1962, Scottish Oils ceased oil-shale operations. In 1965, it was the first company to strike oil in the North Sea. In 1969, BP entered the United States by acquiring the East Coast refining and marketing assets of Sinclair Oil Corporation. The Canadian holding company of British Petroleum was renamed BP Canada in 1969; and in 1971, it acquired 97.8% stake of Supertest Petroleum. By the 1960s, British Petroleum had developed a reputation for taking on the riskiest ventures. It earned the company massive profits; it also earned them the worst safety record in the industry. In 1967, the giant oil tanker Torrey Canyon foundered off the English coast. Over 32 million US gallons (760,000 bbl; 120,000 m3) of crude oil was spilled into the Atlantic and onto the beaches of Cornwall and Brittany, causing Britain's worst-ever oil spill. The ship was owned by the Bahamas-based Barracuda Tanker Corporation and was flying the flag of Liberia, a well-known flag of convenience, but was being chartered by British Petroleum. The ship was bombed by RAF jet bombers in an effort to break up the ship and burn off the leaking oil, but this failed to destroy the oil slick. The company's oil assets were nationalised in Libya in 1971, in Kuwait in 1975, and in Nigeria in 1979. In Iraq, IPC ceased its operations after it was nationalised by the Ba'athist Iraqi government in June 1972 although legally Iraq Petroleum Company still remains in existence, and one of its associated companies —Abu Dhabi Petroleum Company (ADPC), formerly Petroleum Development (Trucial Coast) Ltd — also continues with the original shareholding intact. The intensified power struggle between oil companies and host governments in Middle East, along with the oil price shocks that followed the 1973 oil crisis meant British Petroleum lost most of its direct access to crude oil supplies produced in countries that belonged to the Organization of Petroleum Exporting Countries (OPEC), and prompted it to diversify its operations beyond the heavily Middle East dependent oil production. In 1976, BP and Shell de-merged their marketing operations in the United Kingdom by dividing Shell-Mex and BP. In 1978, the company acquired a controlling interest in Standard Oil of Ohio (Sohio). In Iran, British Petroleum continued to operate until the Islamic Revolution in 1979. The new regime of Ayatollah Khomeini nationalised all of the company's assets in Iran without compensation, bringing to an end its 70-year presence in Iran. As a result, BP lost 40% of its global crude oil supplies. The British government sold 80 million shares of BP at $7.58 in 1979 as part of Thatcher-era privatisation. This sale represented slightly more than 5% of BP's total shares and reduced the government's ownership of the company to 46%. After the worldwide stock market crash on 19 October 1987, Prime Minister Margaret Thatcher initiated the sale of an additional GBP7.5 billion ($12.2 billion) of BP shares at 333 pence, representing the government's remaining 31% stake in the company. In November 1987 the Kuwait Investment Office purchased a 10.06% interest in BP, becoming the largest institutional shareholder. The following May, the KIO purchased additional shares, bringing their ownership to 21.6%. This raised concerns within BP that operations in the United States, BP's primary country of operations, would suffer. In October 1988, the British Department of Trade and Industry required the KIO to reduce its shares to 9.6% within 12 months. Peter Walters was the company chairman from 1981 to 1990. During his period as chairman he reduced company's refining capacity in Europe. In 1982, the downstream assets of BP Canada were sold to Petro Canada. In 1984, Standard Oil of California was renamed to Chevron Corporation; and it bought Gulf Oil—the largest merger in history at that time. To meet anti-trust regulations, Chevron divested many of Gulf's operating subsidiaries, and sold some Gulf stations and a refinery in the eastern United States to British Petroleum and Cumberland Farms in 1985. In 1987, British Petroleum negotiated the acquisition of Britoil and the remaining publicly traded shares of Standard Oil of Ohio. At the same year it was listed on the Tokyo Stock Exchange where its share were traded until delisting in 2008. Walters was replaced by Robert Horton in 1990. Horton carried out a major corporate down-sizing exercise removing various tiers of management at the Head Office. In 1992, British Petroleum sold off its 57% stake in BP Canada (upstream operations), which was renamed as Talisman Energy. John Browne, who had joined BP in 1966 and rose through the ranks to join the board as managing director in 1991, was appointed group chief executive in 1995. In 1981, British Petroleum entered into the solar technology sector by acquiring 50% of Lucas Energy Systems, a company which became Lucas BP Solar Systems, and later BP Solar. The company was a manufacturer and installer of photovoltaic solar cells. It became wholly owned by British Petroleum in the mid-1980s. In 1992, the company entered into Azerbaijani market. In 1994, it signed the production sharing agreement for the Azeri–Chirag–Guneshli oil project and in 1995 for the Shah Deniz gas field development. Under John Browne, British Petroleum acquired other oil companies, transforming BP into the third largest oil company in the world. British Petroleum merged with Amoco (formerly Standard Oil of Indiana) in December 1998, becoming BP Amoco plc. Most Amoco stations in the United States were converted to BP's brand and corporate identity. In 2000, BP Amoco acquired Arco (Atlantic Richfield Co.) and Burmah Castrol. As part of the merger's brand awareness, the company helped the Tate Modern gallery of British Art launch RePresenting Britain 1500–2000. In 2001, in response to negative press on British Petroleum's poor safety standards, the company adopted a green sunburst logo and rebranded itself as BP ("Beyond Petroleum") plc. In the beginning of the 2000s, BP became the leading partner (and later operator) of the Baku–Tbilisi–Ceyhan pipeline project which opened a new oil transportation route from the Caspian region. In 2002, BP acquired the majority of Veba Öl AG, a subsidiary of VEBA AG, and subsequently rebranded its existing stations in Germany to the Aral name. As part of the deal, BP acquired also the Veba Öl's stake in Ruhr Öl joint venture. Ruhr Öl was dissolved in 2016. In 2004, BP's olefins and derivatives business was moved into a separate entity which was sold to Ineos in 2005. In 2007, BP sold its corporate-owned convenience stores, typically known as "BP Connect", to local franchisees and jobbers. On 23 March 2005, 15 workers were killed and more than 170 injured in the Texas City Refinery explosion. To save money, major upgrades to the 1934 refinery had been postponed. Browne pledged to prevent another catastrophe. Three months later, 'Thunder Horse PDQ', BP's giant new production platform in the Gulf of Mexico, nearly sank during a hurricane. In their rush to finish the $1 billion platform, workers had installed a valve backwards, allowing the ballast tanks to flood. Inspections revealed other shoddy work. Repairs costing hundreds of millions would keep Thunder Horse out of commission for three years. Lord Browne resigned from BP on 1 May 2007. The head of exploration and production Tony Hayward. became the new chief executive. In 2009, Hayward shifted emphasis from Lord Browne's focus on alternative energy, announcing that safety would henceforth be the company's "number one priority". In 2007, BP formed with AB Sugar and DuPont a joint venture Vivergo Fuels which opened a bioethanol plant in Saltend near Hull, United Kingdom in December 2012. Together with DuPont, BP formed a biobutanol joint venture Butamax by acquiring biobutan technology company Biobutanol LLC in 2009. In 2009, BP obtained a production contract during the 2009/2010 Iraqi oil services contracts tender to develop the Rumaila field with joint venture partner CNPC, which contain an estimated 17 billion barrels (2.7×109 m3) of oil, accounting for 12% of Iraq's oil reserves estimated at 143.1 billion barrels (22.75×10^9 m3). In June 2010, the BP/CNPC consortium took over development of the field, which was the epicentre of the 1990 Gulf war. On 1 October 2010, Bob Dudley replaced Tony Hayward as the company's CEO after the Deepwater Horizon oil spill. After the oil spill BP announced a divestment program to sell about $38 billion worth of non-core assets by 2013 to compensate its liabilities related to the accident. In July 2010, it sold its natural gas activities in Alberta and British Columbia, Canada, to Apache Corporation. It sold its stake in the Petroperijá and Boquerón fields in Venezuela and in the Lan Tay and Lan Do fields, the Nam Con Son pipeline and terminal, and the Phu My 3 power plant in Vietnam to TNK-BP, forecourts and supply businesses in Namibia, Botswana, Zambia, Tanzania and Malawi to Puma Energy, the Wytch Farm onshore oilfield in Dorset and a package of North Sea gas assets to Perenco, natural-gas liquids business in Canada to Plains All American Pipeline LP, natural gas assets in Kansas to Linn Energy, Carson Refinery in Southern California and its ARCO retail network to Tesoro, Sunray and Hemphill gas processing plants in Texas, together with their associated gas gathering system, to Eagle Rock Energy Partners, the Texas City Refinery and associated assets to Marathon Petroleum, the Gulf of Mexico located Marlin, Dorado, King, Horn Mountain, and Holstein fields as also its stake in non-operated Diana Hoover and Ram Powell fields to Plains Exploration & Production, non-operating stake in the Draugen oil field to Norske Shell, and the UK's liquefied petroleum gas distribution business to DCC. In February 2011, BP formed a partnership with Reliance Industries, taking a 30% stake in a new Indian joint-venture for an initial payment of $7.2 billion. In September 2012, BP sold its subsidiary BP Chemicals (Malaysia) Sdn. Bhd., an operator of the Kuantan purified terephthalic acid (PTA) plant in Malaysia, to Reliance Industries for $230 million. In October 2012, BP sold its stake in TNK-BP to Rosneft for $12.3 billion in cash and 18.5% of Rosneft's stock. The deal was completed on 21 March 2013. In 2012, BP acquired an acreage in the Utica Shale but these developments plans were cancelled in 2014. In 2011–2015, BP cut down its alternative energy business. The company announced its departure from the solar energy market in December 2011 by closing its solar power business, BP Solar. In 2012, BP shut down the BP Biofuels Highlands project which was developed since 2008 to make cellulosic ethanol from emerging energy crops like switchgrass and from biomass. In 2015, BP decided to exit from other lignocellulosic ethanol businesses. It sold its stake in Vivergo to Associated British Foods. BP and DuPont also mothballed their joint biobutanol pilot plant in Saltend. In June 2014, BP agreed to a deal worth around $20 billion to supply CNOOC with liquefied natural gas. In 2014, Statoil Fuel & Retail sold its aviation fuel business to BP. To ensure the approval of competition authorities, BP agreed to sell the former Statoil aviation fuel businesses in Copenhagen, Stockholm, Gothenburg and Malmö airports to World Fuel Services in 2015. In 2016, BP sold its Decatur, Alabama, plant to Indorama Ventures, of Thailand. At the same year, its Norwegian daughter company BP Norge merged with Det Norske Oljeselskap to form Aker BP. In April 2017, the company reached an agreement to sell its Forties pipeline system in the North Sea to Ineos for $250 million. The sale included terminals at Dalmeny and Kinneil, a site in Aberdeen, and the Forties Unity Platform. In 2017, the company floated its subsidiary BP Midstream Partners LP, a pipeline operator in the United States, at the New York Stock Exchange. In Argentina, BP and Bridas Corporation agreed to merge their interests in Pan American Energy and Axion Energy to form a jointly owned Pan American Energy Group. In 2017, BP announced a planned investment of $200 million to acquire a 43% stake in the solar energy developer Lightsource Renewable Energy, a company which will be renamed Lightsource BP. In March 2017, the company acquired Clean Energy's biomethane business and assets, including its production sites and existing supply contracts. In April 2017, its subsidiary Butamax bought an isobutanol production company Nesika Energy. Since 1951, BP has annually published its Statistical Review of World Energy, which is considered an energy industry benchmark. BP has a major corporate campus in Sunbury-on-Thames which is home to around 3,500 employees and over 50 business units. Its North Sea operations are headquartered in Aberdeen, Scotland. BP's trading functions are based at 20 Canada Square in Canary Wharf, London. BP has three major research and development centres in the UK. BP operates more than 40 offshore oil and gas fields, four onshore terminals and a pipeline network that transports around 50%t of the oil and gas produced in the UK, according to the company. BP has invested more than £35 billion in the North Sea since the 1960s, and in 2012 announced its plans to invest another £10 billion until 2017. The company announced that it is focusing its investment in the UK North Sea into four development projects including the Clair, Devenick, Schiehallion and Loyal, and Kinnoull oilfields. BP is the operator of the Clair oilfield, which has been appraised as the largest hydrocarbon resource in the UK. In Saltend near Hull, BP operates a petrochemicals plant that produces acetic acid and acetic anhydride used in the production of pharmaceuticals, textiles and other chemical products. BP's major subsidiary in the United States is BP America, Inc. based in Houston, Texas, which is the parent company for the BP's operations in the country. BP Exploration & Production Inc., a 1996 established Houston-based subsidiary, is dealing with oil exploration and production, including Gulf of Mexico activities. BP Corporation North America, Inc., provides petroleum refining services as also transportation fuel, heat and light energy, and petrochemical products. BP Products North America, Inc., a 1954 established Houston-based subsidiary, is engaged in the exploration, development, production, refining, and marketing of oil and natural gas. BP America Production Company, a New Mexico-based subsidiary, engages in oil and gas exploration and development. BP Energy Company, a Houston-based subsidiary, is a provider of natural gas, power, and risk management services to the industrial and utility sectors and a retail electric provider in Texas. BP's upstream activities are divided into three business areas which are deepwater Gulf of Mexico, the Lower 48 states, and Alaska. BP is a leading acreage holder and producer of oil and natural gas in the deepwater Gulf of Mexico. As of 2017[update] the company produces about 300,000 barrels per day (48,000 m3/d) of oil equivalent in the Gulf of Mexico. BP operates the Atlantis, Mad Dog, Na Kika, and Thunder Horse production platforms while holding interest in hubs operated by other companies. As of 2016[update], the company operated nine North Slope oilfields in the Greater Prudhoe Bay area, producing 107,900 barrels per day (17,150 m3/d). BP is the largest partner with just under 50% ownership stake in the 800-mile (1,300 km) long Trans-Alaska Pipeline System. In 2014, BP moved its onshore unit in the United States to a new business called U.S. Lower 48 Onshore to compete in the burgeoning shale gas industry dominated by smaller companies. It has a 7.5 billion barrels (1.19 billion cubic metres) material resource base on 5.7 million acres (23,000 km2). It has shale positions in the Woodford, Oklahoma, Fayetteville, Arkansas, Haynesville, Texas, and Eagle Ford, Texas shales. It has unconventional gas (shale gas or tight gas) stakes also in Colorado, New Mexico and Wyoming, primarily in the San Juan Basin. BP operates Whiting Refinery in Indiana, Cherry Point Refinery in Washington, and the Toledo Refinery in Ohio, which is owned by BP and Husky Energy. The company owns two petrochemical plants in the U.S. Its petrochemical plant in Texas City, located on the same site as the formerly owned Texas City Refinery, produces industrial chemicals including propylene and styrene. BP's Cooper River, South Carolina petrochemical plant produces PTA, which is used in the production of synthetic fibre for clothing, packaging and optical films. As of May 2017[update], BP operated 13 wind farms in seven states in the U.S., and held an interest in another in Hawaii. In 2016, the company generated 4.389 TW·h of wind power. In India, BP owns a 30% share of oil and gas assets operated by Reliance Industries, including exploration and production rights in more than 20 offshore oil and gas blocks, representing an investment of more than US$7 billion into oil and gas exploration in the country. BP has major liquefied natural gas activities in Indonesia, where it operates the Tangguh LNG project, which began production in 2009 and has a capacity of 7.6 million tonnes of liquid natural gas per year. Also in that country, the company has invested in the exploration and development of coalbed methane. BP operates in Iraq as part of the joint venture Rumaila Operating Organization in the Rumaila oil field, the world's fourth largest oilfield, where it produced over 1 million barrels per day (160×10^3 m3/d) of oil equivalent in 2011. BP operates the Kwinana refinery in Western Australia, which can process up to 146,000 barrels per day (23,200 m3/d) of crude oil and is the country's largest refinery, supplying fuel to 80%t of Western Australia. BP is a non-operating joint venture partner in the North West Shelf, which produces LNG, pipeline gas, condensate and oil. The NWS venture is Australia's largest resource development and accounts for around one third of Australia's oil and gas production. BP operates the two largest oil and gas production projects in the Azerbaijan's sector of the Caspian Sea, the Azeri–Chirag–Guneshli offshore oil fields, which supplies 80% of the country's oil production, and the Shah Deniz gas field. It also and develops the Shafag-Asiman complex of offshore geological structures. In addition, it operates the Sangachal terminal and the Azerbaijan's major export pipelines through Georgia such as Baku–Tbilisi–Ceyhan, Baku–Supsa and South Caucasus pipelines. BP's Canadian operations are headquartered in Calgary and the company operates primarily in Alberta, the Northwest Territories, and Nova Scotia. It purchases crude oil for the company's refineries in the United States, has oil sands holdings in Alberta and four offshore blocks in Nova Scotia. The company's Canadian oil sands leases include joint ventures with Husky Energy in the Sunrise Energy Project (50%), and Devon Energy in Pike, and a partnership with Value Creation Inc. in the development of the Terre de Grace oil sands lease. The BP's investment in the Sunrise Project is £1.6 billion and it is expected to start production in 2014. In May 2017, it was reported that BP is considering to sell-off its oil sands assets. BP is the largest oil and gas producer in Trinidad and Tobago, where it holds more than 1,350 square kilometres (520 sq mi) of offshore assets and is the largest shareholder in Atlantic LNG, one of the largest LNG plants in Western Hemisphere. BP downstream's activities include the refining, marketing, manufacturing, transportation, trading and supply of crude oil, petrochemicals and petroleum products. Downstream is responsible for BP's fuels, lubricants and petrochemical businesses and has major operations located in Europe, North America and Asia. BP, which employs about 1,800 people in oil trading and trades over 5 million barrels per day (790×10^3 m3/d) of oil and refined products, is the world's third biggest oil trader after Royal Dutch Shell and Vitol. The operation is estimated to be able to generate over $1 billion trading profits in a good year. Air BP is the aviation division of BP, providing aviation fuel, lubricants & services. It has operations in over 50 countries worldwide. BP Shipping provides the logistics to move BP's oil and gas cargoes to market, as well as marine structural assurance. It manages a large fleet of vessels most of which are held on long-term operating leases. BP Shipping's chartering teams based in London, Singapore, and Chicago also charter third party vessels on both time charter and voyage charter basis. The BP-managed fleet consists of Very Large Crude Carriers (VLCCs), one North Sea shuttle tanker, medium size crude and product carriers, liquefied natural gas (LNG) carriers, liquefied petroleum gas (LPG) carriers, and coasters. All of these ships are double-hulled. BP markets petroleum products in more than 50 countries worldwide. It has around 18,300 service stations. Its flagship retail brand is BP Connect, a chain of service stations combined with a convenience store, although in the US it is gradually being transitioned to the ampm format. In Germany and Luxembourg, BP operates service stations under the Aral brand. On the US West Coast, in the states of California, Oregon, Washington, Nevada, Idaho, Arizona, and Utah, BP primarily operates service stations under the ARCO brand. In Australia BP operates a number of BP Travel Centres, large-scale destination sites located which, in addition to the usual facilities in a BP Connect site, also feature food-retail tenants such as McDonald's, KFC and Nando's and facilities for long-haul truck drivers. BP was the first of supermajors expanding its focus on energy sources other than fossil fuels. It established an alternative and low carbon energy business in 2005, with plans to invest $8 billion over a 10-year period into renewable energy sources including solar, wind, and biofuels, and non-renewable sources including natural gas and hydrogen power. According to the company, it spent a total of $8.3 billion in these projects through completion in 2013. As of May 2017[update], BP operated 13 wind farms in seven states in the United States, and held an interest in another in Hawaii. These wind farms include the Cedar Creek Wind Farm, Titan Wind Project, Sherbino Wind Farm, Golden Hills Wind Project, and Fowler Ridge Wind Farm. As of 2017[update], the company had total gross generating capacity of 2.3 GW of wind energy in the United States. In 2016, the company generated 4.389 TW·h of wind power. In Brazil, BP owns two ethanol producers—Companhia Nacional de Açúcar e Álcool andTropical BioEnergia—with three ethanol mills. These mills produce around 800,000 cubic metres per annum (5,000,000 bbl/a) of ethanol equivalent. BP has invested in an agricultural biotechnology company Chromatin, a company developing crops that can grow on marginal land and that are optimized to be used as feedstock for biofuel, and Vedrezyne, which produces petrochemicals in yeast. Its joint venture with DuPont called Butamax, which has developed the patented bio-butanol-producing technology and owns an isobutanol plant in Scandia, Kansas, United States. In addition BP owns biomethane production facilities in Canton, Michigan and North Shelby, Tennessee as well as share of facilities under construction in Oklahoma City and Atlanta. BP's subsidiary Air BP supplies aviation biofuel at Oslo, Halmstad, and Bergen airports. Six years after closing down BP Solar, BP announced its return to the solar sector with an investment of $200 million to Lightsource Renewable Energy (Lightsource BP). Differently from BP Solar, Lightsource BP focuses on the managing and maintaining solar farms instead of manufacturing solar panels. As of 2017[update], Lightsource has commissioned 1.3 GW of solar capacity and manages about 2 GW of solar capacity. It plans to increase the capacity up to 8 GW through projects in the United States, India, Europe and the Middle East. In 2018, the CEO Bob Dudley said that out of the company's total spending of $15 to $17 billion per year, about $500 million will be invested in low-carbon energy and technology. The relatively small size of BP's alternative energy operations has led to allegations of greenwashing by Greenpeace, Mother Jones and energy analyst and activist Antonia Juhasz, among others. Helge Lund succeeded Carl-Henric Svanberg on 1 January 2019 as chairman of BP Plc board of directors with Robert Dudley as group chief executive officer since October 2010. BP stock is composed of original BP shares as well as shares acquired through mergers with Amoco in 1998 and the Atlantic Richfield Company (ARCO) in 2000. The company's shares are primarily traded on the London Stock Exchange, but also listed on the Frankfurt Stock Exchange in Germany. In the United States shares are traded in US$ on the New York Stock Exchange in the form of American depository shares (ADS). One ADS represents six ordinary shares. Following the United States Federal Trade Commission's approval of the BP-Amoco merger in 1998, Amoco's stock was removed from Standard & Poor's 500 and was merged with BP shares on the London Stock Exchange. The merger with Amoco resulted in a 40% increase in share price by April 1999. However, shares fell nearly 25% by early 2000, when the Federal Trade Commission expressed opposition to BP-Amoco's acquisition of ARCO. The acquisition was ultimately approved in April 2000 increasing stock value 57 cents over the previous year. On 22 March 2013, BP announced an $8 billion share repurchase. The buyback decision followed closure of the TNK-BP deal and it has to offset the dilution to earnings per share following the loss of dividends from TNK-BP. The buyback was also seen as a way to invest excess cash from the TNK-BP deal. As of 27 May 2018[update], major institutional shareholders include BlackRock Investment Management (UK) Ltd. (3.35% as of 14 May 2018[update]), The Vanguard Group, Inc. (3.12% as at 2 May 2018), Norges Bank Investment Management (2.21% as at 2 May 2018) and Legal & General Investment Management Ltd. (2.07% as of 2 May 2018[update]). In the first quarter of 2001 the company adopted the marketing name of BP, and replaced its "Green Shield" logo with the "Helios" symbol, a green and yellow sunflower logo named after the Greek sun god and designed to represent energy in its many forms. BP introduced a new corporate slogan – "Beyond Petroleum" along with a $200M advertising and marketing campaign. According to the company, the new slogan represented their focus on meeting the growing demand for fossil fuels, manufacturing and delivering more advanced products, and to enable transitioning to a lower carbon footprint. By 2008, BP's branding campaign had succeeded with the culmination of a 2007 Effie Award from by the American Marketing Association, and consumers had the impression that BP was one of the greenest petroleum companies in the world. BP was criticised by environmentalists and marketing experts, who stated that the company's alternative energy activities were only a fraction of the company's business at the time. According to Democracy Now, BP's marketing campaign amounted to a deceptive greenwashing public-relations spin campaign given that BP's 2008 budget included more than $20 billion for fossil fuel investment and less than $1.5 billion for all alternative forms of energy. Oil and energy analyst Antonia Juhasz notes BP's investment in green technologies peaked at 4% of its exploratory budget prior to cutbacks, including the discontinuation of BP Solar and the closure of its alternative energy headquarters in London. According to Juhasz, "four percent...hardly qualifies the company to be Beyond Petroleum", citing BP's "aggressive modes of production, whether it's the tar sands [or] offshore". BP attained a negative public image from the series of industrial accidents that occurred through the 2000s, and its public image was severely damaged after the Deepwater Horizon explosion and Gulf Oil spill. In the immediate aftermath of the spill, BP initially downplayed the severity of the incident, and made many of the same PR errors that Exxon had made after the Exxon Valdez disaster. CEO Tony Hayward was criticised for his statements and had committed several gaffes, including stating that he "wanted his life back." Some in the media commended BP for some of its social media efforts, such as the use of Twitter and Facebook as well as a section of the company's website where it communicated its efforts to clean up the spill. In May 2012, BP tasked a press office staff member to openly join discussions on the Wikipedia article's talk page and suggest content to be posted by other editors. Controversy emerged in 2013 over the amount of content from BP that had entered this article. Wikipedia co-founder Jimmy Wales stated that, by identifying himself as a BP staff member, the contributor in question had complied with site policy regarding conflicts of interest. In 2018, BP was the largest contributor to the campaign opposing carbon fee initiative 1631 in Washington State. BP also funded a campaign against a prior carbon fee initiative, I-732, as a member of the American Fuel & Petrochemical Manufacturers. Robert Allendorfer, manager of BP's Cherry Point refinery, wrote the following in a letter to state lawmakers: "[Initiative 1631] would exempt six of the ten largest stationary source emitters in the state, including a coal-fired power plant, an aluminum smelter, and a number of pulp and paper plants." While I-1631 exempts certain industries as Allendorfer states, I-732 did not. 20 years ago, BP was distinguished as the first multinational outside of the reinsurance industry to publicly support the scientific consensus on climate change, which Pew Center on Global Climate Change president Eileen Caussen then described as a transformative moment on the issue. In September 1999, one of BP's US subsidiaries, BP Exploration Alaska (BPXA), pleaded guilty to criminal charges stemming from its illegally dumping of hazardous wastes on the Alaska North Slope, paying fines and penalties totaling $22 million. BP paid the maximum $500,000 in criminal fines, $6.5 million in civil penalties, and established a $15 million environmental management system at all of BP facilities in the US and Gulf of Mexico that are engaged in oil exploration, drilling or production. The charges stemmed from the 1993 to 1995 dumping of hazardous wastes on Endicott Island, Alaska by BP's contractor Doyon Drilling. The firm illegally discharged waste oil, paint thinner and other toxic and hazardous substances by injecting them down the outer rim, or annuli, of the oil wells. BPXA failed to report the illegal injections when it learned of the conduct, in violation of the Comprehensive Environmental Response, Compensation and Liability Act. In 2000, BP Amoco acquired ARCO, a Los Angeles-based oil group. In 2003, California's South Coast Air Quality Management District (AQMD) filed a complaint against BP/ARCO, seeking $319 million in penalties for thousands of air pollution violations over an 8-year period. In January 2005, the agency filed a second suit against BP based on violations between August 2002 and October 2004. The suit alleged that BP illegally released air pollutants by failing to adequately inspect, maintain, repair and properly operate thousands of pieces of equipment across the refinery as required by AQMD regulations. It was alleged that in some cases the violations were due to negligence, while in others the violations were knowingly and willfully committed by refinery officials. In 2005, a settlement was reached under which BP agreed to pay $25 million in cash penalties and $6 million in past emissions fees, while spending $20 million on environmental improvements at the refinery and $30 million on community programs focused on asthma diagnosis and treatment. In 2013, a total of 474 Galveston County residents living near the BP Texas City Refinery filed a $1 billion lawsuit against BP, accusing the company of "intentionally misleading the public about the seriousness" of a two-week release of toxic fumes which began on 10 November 2011. "BP reportedly released Sulfur Dioxide, Methyl Carpaptan, Dimethyl Disulfide and other toxic chemicals into the atmosphere" reads the report. The lawsuit further claims Galveston county has the worst air quality in the United States due to BP's violations of air pollution laws. BP had no comment and said it would address the suit in the court system. In 2006, a group of Colombian farmers reached a multimillion-dollar out-of-court settlement with BP for alleged environmental damage caused by the Ocensa pipeline. An agreed statement said: "The Colombian farmers group are pleased to say that after a mediation process which took place in Bogotá in June 2006 at the joint initiative of the parties, an amicable settlement of the dispute in relation to the Ocensa pipeline has been reached, with no admissions of liability." The company was accused of benefiting from a regime of terror carried out by Colombian government paramilitaries to protect the 450-mile (720 km) Ocensa pipeline; BP said throughout that it has acted responsibly and that landowners were fairly compensated. In Canada, BP is involved in the extraction of oil sands, also known as tar sands or bituminous sands. The company uses in-situ drilling technologies such as Steam Assisted Gravity Drainage to extract the bitumen. Members of US and Canadian oil companies say that using recycled groundwater makes in situ drilling an environmentally friendlier option when compared with oil sands mining. Members of Canada's First Nations have criticized BP's involvement in the Canadian project for the impacts tar sands extraction has on the environment. NASA scientist James Hansen said that the exploitation of Canadian tar sands would mean "game over for the climate". In 2010, activist shareholders asked BP for a full investigation of the project, but were defeated. In 2013, shareholders criticized the project for being carbon-intensive. Citing conditions similar to those that resulted in the 2005 Texas City Refinery explosion, on 25 April 2006, the U.S. Department of Labor's Occupational Safety and Health Administration (OSHA) fined BP more than $2.4 million for unsafe operations at the company's Oregon, Ohio refinery. An OSHA inspection resulted in 32 per-instance willful citations including locating people in vulnerable buildings among the processing units, failing to correct depressurization deficiencies and deficiencies with gas monitors, and failing to prevent the use of non-approved electrical equipment in locations in which hazardous concentrations of flammable gases or vapors may exist. BP was further fined for neglecting to develop shutdown procedures and designate responsibilities and to establish a system to promptly address and resolve recommendations made after an incident when a large feed pump failed three years prior to 2006. Penalties were also issued for five serious violations, including failure to develop operating procedures for a unit that removes sulfur compound; failure to ensure that operating procedures reflect current operating practice in the Isocracker Unit; failure to resolve process hazard analysis recommendations; failure to resolve process safety management compliance audit items in a timely manner; and failure to periodically inspect pressure piping systems. A report in ProPublica, published in the Washington Post in 2010, found that over a decade of internal investigations of BP's Alaska operations during the 2000s warned senior BP managers that the company repeatedly disregarded safety and environmental rules and risked a serious accident if it did not change its ways. ProPublica found that "Taken together, these documents portray a company that systemically ignored its own safety policies across its North American operations -- from Alaska to the Gulf of Mexico to California and Texas. Executives were not held accountable for the failures, and some were promoted despite them." The Project On Government Oversight, an independent non-profit organization in the United States which investigates and seeks to expose corruption and other misconduct, lists BP as number one on their listing of the 100 worst corporations based on instances of misconduct. In December 1965, Britain's first oil rig, Sea Gem, capsized when two of the legs collapsed during an operation to move it to a new location. The oil rig had been hastily converted in an effort to quickly start drilling operations after the North Sea was opened for exploration. Thirteen crew members were killed. No hydrocarbons were released in the accident. The former Amoco oil refinery at Texas City, Texas was beset by environmental issues, including chemical leaks and a 2005 explosion that killed 15 people and injured hundreds. Bloomberg News described the incident, which led to a guilty plea by BP to a felony Clean Air Act charge, as "one of the deadliest U.S. industrial accidents in 20 years." The refinery was sold to Marathon Petroleum in October 2012. The fallout from the accident clouded BP's corporate image because of the mismanagement at the plant. There had been several investigations of the disaster, the most recent being that from the US Chemical Safety and Hazard Investigation Board which "offered a scathing assessment of the company." OSHA found "organizational and safety deficiencies at all levels of the BP Corporation" and said management failures could be traced from Texas to London. The company pleaded guilty to a felony violation of the Clean Air Act, was fined $50 million, the largest ever assessed under the Clean Air Act, and sentenced to three years probation. On 30 October 2009, the US Occupational Safety and Health Administration (OSHA) fined BP an additional $87 million, the largest fine in OSHA history, for failing to correct safety hazards documented in the 2005 explosion. Inspectors found 270 safety violations that had been cited but not fixed and 439 new violations. BP appealed the fine. In July 2012, the company agreed to pay $13 million to settle the new violations. At that time OSHA found "no imminent dangers" at the Texas plant. Thirty violations remained under discussion. In March 2012, US Department of Justice officials said the company had met all of its obligations and subsequently ended the probationary period. In November 2011, BP agreed to pay the state of Texas $50 million for violating state emissions standards at its Texas City refinery during and after the 2005 explosion at the refinery. The state Attorney General said BP was responsible for 72 separate pollutant emissions that have been occurring every few months since March 2005. It was the largest fine ever imposed under the Texas Clean Air Act. In August 2010, the Texas Attorney General charged BP with illegally emitting harmful air pollutants from its Texas City refinery for more than a month. BP has admitted that malfunctioning equipment lead to the release of over 530,000 pounds (240,000 kg) of chemicals into the air of Texas City and surrounding areas from 6 April to 16 May 2010. The leak included 17,000 pounds (7,700 kg) of benzene, 37,000 pounds (17,000 kg) of nitrogen oxides, and 186,000 pounds (84,000 kg) of carbon monoxide. The State's investigation showed that BP's failure to properly maintain its equipment caused the malfunction. When the equipment malfunctioned and caught fire, BP workers shut it down and routed escaping gases to flares. Rather than shut down associated units while compressor repairs were made, BP chose to keep operating those other units, which led to unlawful release of contaminants for almost 40 days. The Attorney General is seeking civil penalties of no less than $50 nor greater than $25,000 per day of each violation of state air quality laws, as well as attorneys' fees and investigative costs. In March 2006, corrosion of a BP Exploration Alaska (BPXA) oil transit pipeline in Prudhoe Bay transporting oil to the Trans-Alaska Pipeline led to a five-day leak and the largest oil spill on Alaska's North Slope. According to the Alaska Department of Environmental Conservation (ADEC), a total of 212,252 US gallons (5,053.6 bbl; 803.46 m3) of oil was spilled, covering 2 acres (0.81 ha) of the North Slope. BP admitted that cost cutting measures had resulted in a lapse in monitoring and maintenance of the pipeline and the consequent leak. At the moment of the leak, pipeline inspection gauges (known as "pigs") had not been run through the pipeline since 1998. BP completed the clean-up of the spill by May 2006, including removal of contaminated gravel and vegetation, which was replaced with new material from the Arctic tundra. Following the spill, the company was ordered by regulators to inspect the 35 kilometres (22 mi) of pipelines in Prudhoe Bay using "smart pigs". In late July 2006, the "smart pigs" monitoring the pipelines found 16 places where corrosion had thinned pipeline walls. A BP crew sent to inspect the pipe in early August discovered a leak and small spill, following which, BP announced that the eastern portion of the Alaskan field would be shut down for repairs on the pipeline, with approval from the Department of Transportation. The shutdown resulted in a reduction of 200,000 barrels per day (32,000 m3/d) until work began to bring the eastern field to full production on 2 October 2006. In total, 23 barrels (3.7 m3) of oil were spilled and 176 barrels (28.0 m3) were "contained and recovered", according to ADEC. The spill was cleaned up and there was no impact upon wildlife. After the shutdown, BP pledged to replace 26 kilometres (16 mi) of its Alaskan oil transit pipelines and the company completed work on the 16 miles (26 km) of new pipeline by the end of 2008. In November 2007, BP Exploration, Alaska pleaded guilty to negligent discharge of oil, a misdemeanor under the federal Clean Water Act and was fined US$20 million. There was no charge brought for the smaller spill in August 2006 due to BP's quick response and clean-up. On 16 October 2007, ADEC officials reported a "toxic spill" from a BP pipeline in Prudhoe Bay comprising 2,000 US gallons (7,600 l; 1,700 imp gal) of primarily methanol (methyl alcohol) mixed with crude oil and water, which spilled onto a gravel pad and frozen tundra pond. On 17 September 2008, a small gas leak was discovered and one gas-injection well broached to surface in the area of the Central Azeri platform at the Azeri oilfield, a part of the Azeri–Chirag–Guneshli (ACG) project, in the Azerbaijan sector of Caspian Sea. The platform was shut down and the staff was evacuated. As the West Azeri Platform was being powered by a cable from the Central Azeri Platform, it was also shut down. Production at the West Azeri Platform resumed on 9 October 2008 and at the Central Azeri Platform in December 2008. According to leaked US Embassy cables, BP had been "exceptionally circumspect in disseminating information" and showed that BP thought the cause for the blowout was a bad cement job. The cables further said that some of BP's ACG partners complained that the company was so secretive that it was withholding information even from them. The Deepwater Horizon oil spill was a major industrial accident on the Gulf of Mexico, which killed 11 people and injured 16 others, leaked about 4.9 million barrels (210 million US gal; 780,000 m3) of oil with plus or minus 10% uncertainty, which makes it the largest accidental marine oil spill in the history of the petroleum industry, and cost to the company more than $65 billion of cleanup costs, charges and penalties. On 20 April 2010, the semi-submersible exploratory offshore drilling rig Deepwater Horizon located in the Macondo Prospect in the Gulf of Mexico exploded after a blowout. After burning for two days, the rig sank. The well was finally capped on 15 July 2010. Of 4.9 million barrels (210 million US gal; 780,000 m3) of leaked oil 810,000 barrels (34 million US gal; 129,000 m3) was collected or burned while 4.1 million barrels (170 million US gal; 650,000 m3) entered the Gulf waters. 1.8 million US gallons (6,800 m3) of Corexit dispersant was applied. The spill had a strong economic impact on the Gulf Coast's economy sectors such as fishing and tourism. As of 2015[update], the fishing industry continued to struggle. A 2013 study in the Journal of Travel Research found that the hotel industry weathered the spill better than the vacation rental industry, and that the overall impact was complex and difficult to determine. Oil spill caused damages across a range of species and habitats in the Gulf. Researchers say the oil and dispersant mixture, including PAHs, permeated the food chain through zooplankton. Toxicological effects have been documented in benthic and pelagic fish, estuarine communities, mammals, birds and turtles, deep-water corals, plankton, foraminifera, and microbial communities. Effects on different populations consist of increased mortality or as sub-lethal impairment on the organisms' ability to forage, reproduce and avoid predators. In 2013, it was reported that dolphins and other marine life continued to die in record numbers with infant dolphins dying at six times the normal rate, and half the dolphins examined in a December 2013 study were seriously ill or dying. BP said the report was "inconclusive as to any causation associated with the spill." Researchers looking at sediment, seawater, biota, and seafood found toxic compounds in high concentrations that they said was due to the added oil and dispersants. Although Gulf fisheries recovered in 2011, a 2014 study of the effects of the oil spill on bluefin tuna by researchers at Stanford University and the National Oceanic and Atmospheric Administration, published in the journal Science, found that toxins released by the oil spill sent fish into cardiac arrest. The study found that even very low concentrations of crude oil can slow the pace of fish heartbeats. BP disputed the study, which was conducted as part of the federal Natural Resource Damage Assessment process required by the Oil Pollution Act. The study also found that oil already broken down by wave action and chemical dispersants was more toxic than fresh oil. Another peer-reviewed study, released in March 2014 and conducted by 17 scientists from the United States and Australia and published in Proceedings of the National Academy of Sciences, found that tuna and amberjack that were exposed to oil from the spill developed deformities of the heart and other organs. BP responded that the concentrations of oil in the study were a level rarely seen in the Gulf, but The New York Times reported that the BP statement was contradicted by the study. Research discussed at a 2013 conference included preliminary results of an ongoing study being done by the National Institute for Environmental Health Sciences indicating that oil spill cleanup workers carry biomarkers of chemicals contained in the spilled oil and the dispersants used. A separate study is following the health issues of women and children affected by the spill. Several studies found that a "significant percentage" of Gulf residents reported mental health problems such as anxiety, depression and PTSD. According to a Columbia University study investigating the health effects among children living less than 10 miles from the coast, more than a third of the parents report physical or mental health symptoms among their children. Australia's 60 Minutes reported that people living along the gulf coast were becoming sick from the mixture of Corexit and oil. Susan Shaw, of the Deepwater Horizon oil spill Strategic Sciences Working Group, says "BP told the public that Corexit was 'as harmless as Dawn dishwashing liquid'...But BP and the EPA clearly knew about the toxicity of the Corexit long before this spill." According to Shaw, BP's own safety sheet on Corexit says that there are "high and immediate human health hazards". Cleanup workers were not provided safety equipment by the company, and the safety manuals were "rarely if ever" followed, or distributed to workers, according to a Newsweek investigation. The safety manuals read: "Avoid breathing vapor" and "Wear suitable protective clothing." Oil clean up workers reported that they were not allowed to use respirators, and that their jobs were threatened if they did. A peer-reviewed study published in The American Journal of Medicine reported significantly altered blood profiles of individuals exposed to the spilled oil and dispersants that put them at increased risk of developing liver cancer, leukemia and other disorders. BP disputed its methodology and said other studies supported its position that dispersants did not create a danger to health. In 2014, a study was published in Proceedings of the National Academy of Sciences which found heart deformities in fish exposed to oil from the spill. The researchers said that their results probably apply to humans as well as fish. On 15 December 2010, the Department of Justice filed a civil and criminal suit against BP and other defendants for violations under the Clean Water Act in the U.S. District Court for the Eastern District of Louisiana. :70 The case was consolidated with about 200 others, including those brought by state governments, individuals, and companies under Multi-District Litigation docket MDL No. 2179, before U.S. District Judge Carl Barbier. In November 2012, BP and the Department of Justice reached a $4 billion settlement of all federal criminal charges related to the explosion and spill. Under the settlement, BP agreed to plead guilty to 11 felony counts of manslaughter, two misdemeanors, and a felony count of lying to Congress and agreed to four years of government monitoring of its safety practices and ethics. BP also paid $525 million to settle civil charges by the Securities and Exchange Commission that it misled investors about the flow rate of oil from the well. At the same time, the US government filed criminal charges against three BP employees; two site managers were charged with manslaughter and negligence, and one former vice president with obstruction. In June 2010, after a meeting in the White House between President Barack Obama and BP executives, the president announced that BP would pay $20 billion into a trust fund that will be used to compensate victims of the oil spill. BP also set aside $100 million to compensate oil workers who lost their jobs because of the spill. BP lobbied the British government to conclude a prisoner-transfer agreement which the Libyan government had wanted to secure the release of Abdelbaset al-Megrahi, the only person convicted for the 1988 Lockerbie bombing over Scotland, which killed 270 people. BP stated that it pressed for the conclusion of prisoner transfer agreement amid fears that delays would damage its "commercial interests" and disrupt its £900 million offshore drilling operations in the region, but it said that it had not been involved in negotiations concerning the release of Megrahi. In February 2002, BP's then-chief executive, Lord Browne of Madingley, renounced the practice of corporate campaign contributions, saying: "That's why we've decided, as a global policy, that from now on we will make no political contributions from corporate funds anywhere in the world." When the Washington Post reported in June 2010 that BP North America "donated at least $4.8 million in corporate contributions in the past seven years to political groups, partisan organizations and campaigns engaged in federal and state elections", mostly to oppose ballot measures in two states aiming to raise taxes on the oil industry, the company said that the commitment had only applied to contributions to individual candidates. In 2009, BP spent nearly $16 million lobbying the U.S. Congress. In 2011, BP spent a total of $8,430,000 on lobbying and had 47 registered lobbyists. The US Justice Department and the Commodity Futures Trading Commission filed charges against BP Products North America Inc. (subsidiary of BP plc) and several BP traders, alleging they conspired to raise the price of propane by seeking to corner the propane market in 2004. In 2006, one former trader pleaded guilty. In 2007, BP paid $303 million in restitution and fines as part of an agreement to defer prosecution. BP was charged with cornering and manipulating the price of TET propane in 2003 and 2004. BP paid a $125 million civil monetary penalty to the CFTC, established a compliance and ethics program, and installed a monitor to oversee BP's trading activities in the commodities markets. BP also paid $53 million into a restitution fund for victims, a $100 million criminal penalty, plus $25 million into a consumer fraud fund, as well as other payments. Also in 2007, four other former traders were charged. These charges were dismissed by a US District Court in 2009 on the grounds that the transactions were exempt under the Commodities Exchange Act because they didn't occur in a marketplace but were negotiated contracts among sophisticated companies. The dismissal was upheld by the Court of Appeals for the 5th Circuit in 2011. In May 2013, the European Commission started an investigation into allegations the companies reported distorted prices to the price reporting agency Platts, in order to "manipulate the published prices" for several oil and biofuel products. The investigation was dropped in December 2015 due to lack of evidence. ^ "Fourth quarter and full year 2018" (PDF). BP plc. Retrieved 2 March 2019. ^ "Oil majors' output growth hinges on strategy shift". Reuters. 1 August 2008. Retrieved 15 March 2012. ^ "PFC Energy 50". PFC Energy. 2013. Archived from the original on 28 October 2013. Retrieved 6 June 2013. ^ "Top 10 Oil & Gas Companies: Number 6 - BP". Oil and Gas iQ. 2013. Archived from the original on 23 June 2013. Retrieved 6 June 2013. ^ Helman, Christopher (2013). "The World's 25 Biggest Oil Companies". Forbes. Retrieved 12 June 2013. ^ a b c Overland, Indra; Godzimirski, Jakub; Lunden, Lars Petter; Fjaertoft, Daniel (2013). "Rosneft's offshore partnerships: the re-opening of the Russian petroleum frontier?". Polar Record. 49 (2): 140–153. doi:10.1017/S0032247412000137. ISSN 0032-2474. ^ a b Roach, John (20 March 2006). "Alaska Oil Spill Fuels Concerns Over Arctic Wildlife, Future Drilling". National Geographic. Retrieved 5 June 2010. ^ a b Robertson, Campbell; Krauss, Clifford (2 August 2010). "Gulf Spill Is the Largest of Its Kind, Scientists Say". The New York Times. Retrieved 17 November 2012. ^ "Is Using Dispersants on the BP Gulf Oil Spill Fighting Pollution with Pollution?". Scientific American. Retrieved 22 April 2014. ^ Goldenberg, Suzanne; Rushe, Dominic (15 November 2012). "BP to pay $4.5bn penalty over Deepwater Horizon disaster". The Guardian. London. Retrieved 17 November 2012. ^ a b c Krauss, Clifford; Schwartz, John (15 November 2012). "BP Will Plead Guilty and Pay Over $4 Billion". The New York Times. Retrieved 17 November 2012. ^ Muskal, Michael; White, Ronald D. (15 November 2012). "BP fined, charged in oil spill that showed 'profit over prudence'". Los Angeles Times. Retrieved 11 December 2012. ^ a b McGill, Kevin (2 July 2015). "Gulf States Reach $18.7B Settlement With BP Over Oil Spill". Washington Times. Associated Press. Retrieved 2 July 2015. ^ Michael Gasson (Former Group Archivist, BP Archive). "Home: The BP Archive". Business History Links: Business Archives. Association of Business Historians. Archived from the original on 10 February 2007. Retrieved 9 June 2007. ^ "From Anglo-Persian Oil to BP Amoco". BBC News. 11 August 1998. Retrieved 31 March 2013. ^ "Scottish Oils". Uphall On The Web. Archived from the original on 22 July 2013. Retrieved 8 June 2013. ^ a b "A Brief History of the Scottish Shale Oil Industry". Museum of the Scottish Shale Oil Industry. Retrieved 8 June 2013. ^ Myers, Kevin (3 September 2009). "The greatest 20th century beneficiary of popular mythology has been the cad Churchill". Irish Independent. Retrieved 9 September 2012. ^ Metz, Helen Chapin, ed. (1988). "The Turkish Petroleum Company". Iraq: A Country Study. Retrieved 28 June 2008. ^ "Milestones: 1921–1936, The 1928 Red Line Agreemen". United States Department of State. Archived from the original on 29 July 2012. Retrieved 18 August 2012. ^ Longrigg, Stephen Hemsley (1961). Oil in the Middle East. New York: Oxford University Press. OCLC 237163. ^ Yergin, Daniel (1991). The Prize. New York: Simon & Schuster. ISBN 978-0-671-50248-5. 0671502484. ^ "Australian Dictionary of Biography". Adb.online.anu.edu.au. Retrieved 5 June 2010. ^ a b Bayne Fisher, ed. al. (1991), p. 665. ^ Risen, James (18 June 2000). "The C.I.A. in Iran: Britain Fights Oil Nationalism". The New York Times. Retrieved 5 June 2010. ^ a b "BP: History at Funding Universe". Fundinguniverse.com. Retrieved 5 June 2010. ^ Bryne, Malcolm (18 August 2013). "CIA Admits It Was Behind Iran's Coup". Foreign Policy. ^ a b Lauterpacht (1973), p. 375. ^ "Natural Gas and Alaska's Future" (PDF). p. 22. Archived from the original (PDF) on 13 March 2012. Retrieved 12 February 2013. ^ "British Petroleum in Libya". The Wall Street Journal. 23 February 1956. Archived from the original on 30 June 2013. Retrieved 24 April 2013. (Subscription required (help)). ^ "BP dossier". Sea-us.org.au. 21 November 1999. Archived from the original on 18 June 2010. Retrieved 5 June 2010. ^ "Supertest History". Retrieved 13 September 2015. ^ a b Barkham, Patrick (24 June 2010). "Oil spills: Legacy of the Torrey Canyon". The Guardian. London. Retrieved 30 June 2013. ^ "1967: Bombs rain down on Torrey Canyon". BBC News. 29 March 1967. Retrieved 30 June 2013. ^ "International Oil Transportation". Dr. Jean-Paul Rodrigue. Retrieved 1 September 2012. ^ Company Check. "Iraq Petroleum Company Ltd". Retrieved 19 August 2012. ^ "The shareholders of ADPC info from ExxonMobil history". Archived from the original on 7 March 2013. Retrieved 18 August 2012. ^ "Bloomberg Businessweek company info – ADPC". Retrieved 18 August 2012. ^ a b "COMPANY NEWS; B.P. Now Holding 95% of Standard". The New York Times. 14 May 1987. Retrieved 29 October 2014. ^ "The Big Fix — RT Documentary". Russia: RT. 3 July 2013. Retrieved 13 April 2014. ^ Hershey jr., Robert D. (29 March 1979). "B.P. Finds Success Without Iranian Oil". The New York Times. Retrieved 18 June 2017. ^ "Britons rush to buy oil company shares". The Globe and Mail (Canada). 10 November 1979. (subscription required). Archived from the original on 22 February 2014. Retrieved 28 August 2012. ^ "Large Offering Is Set by B.P". The New York Times. 10 October 1987. (subscription required). Retrieved 9 October 2013. ^ Lohr, Steve (30 October 1987). "B.P. Issue to Proceed; Safeguard Put on Price". The New York Times. Retrieved 13 April 2014. ^ "Kuwait buys 10 per cent stake in oil giant British Petroleum". Toronto Star. 19 November 1987. (subscription required). Archived from the original on 22 February 2014. Retrieved 28 August 2012. ^ Lohr, Steve (19 November 1987). "Kuwait has 10% of B.P. ; price put at $900 million". The New York Times. Retrieved 11 June 2010. ^ O'Connor, Robert (9 October 1988). "Order to Kuwait to reduce BP holdings eases strain in U.S." U-T San Diego. (subscription required). Archived from the original on 22 February 2014. Retrieved 28 August 2012. ^ a b "British Petroleum Chairman Sir Peter Walters to Quit". Los Angeles Times. 8 September 1989. Retrieved 8 June 2013. ^ "Funding Universe – History of Chevron Corporation". Retrieved 1 September 2012. ^ "Company Profile". chevron.com. Archived from the original on 12 April 2010. Retrieved 5 May 2010. ^ "Britain drops a barrier to BP bid". The New York Times. Associated Press. 5 February 1988. Retrieved 5 June 2010. ^ Yumiko Nishitani (24 June 2008). "Boeing, BP to delist shares from Tokyo bourse". Reuters. Retrieved 15 May 2013. ^ Roberts, John (February 2005). "Organizing for Performance: How BP Did It". Stanford Business. Gsb.stanford.edu. Archived from the original on 14 January 2012. Retrieved 12 February 2013. ^ "Funding Universe – History of Talisman Energy Inc". Retrieved 1 September 2012. ^ "Royal Academy of Engineering". Raeng.org.uk. Retrieved 5 June 2010. ^ "BP and Lucas form solar company". Electronics and Power. March 1981. Retrieved 13 April 2014. ^ Berdy, Michele A. (29 February 2012). "Lessons Learned From BP's 'Bold Move'". The Moscow Times. Archived from the original on 19 March 2012. Retrieved 16 May 2013. ^ "BP in Azerbaijan. Our history". BP. Retrieved 2018-03-02. ^ "BP and Amoco in oil mega-merger". BBC News. 11 August 1998. Retrieved 5 June 2010. ^ a b "BP Parent Company Name Change Following AGM Approval" (Press release). BP. 1 May 2001. Archived from the original on 6 August 2011. Retrieved 11 June 2010. ^ a b Brierley, David (4 April 1999). "BP strikes it rich in America". The Independent. London. Retrieved 5 June 2010. ^ "BP Amoco Agrees Recommended Cash Offer To Buy Burmah Castrol For £3 ($4.7) Billion" (Press release). BP. 14 March 2000. Archived from the original on 11 January 2012. Retrieved 11 June 2010. ^ Brierley, David (4 April 1999). "BP strikes it rich in America". The Independent. London. Retrieved 28 August 2012. ^ "Green light for BP-Arco merger". BBC News. 14 April 2000. Retrieved 28 August 2012. ^ a b "History of Aral". BP. Archived from the original on 17 April 2016. Retrieved 17 September 2010. ^ "Rosneft, BP finalize dissolution of German refining JV". Oil & Gas Journal. 23 January 2017. Retrieved 25 February 2018. (Subscription required (help)). ^ "BP, TNK sign $6bn Russia deal". CNN. 26 June 2003. Retrieved 9 September 2012. ^ "BP sells chemical unit for £5bn". BBC News. 7 October 2005. Retrieved 5 June 2010. ^ "BP Sale of Innovene to Ineos Completed" (Press release). BP. 15 December 2005. Archived from the original on 4 July 2013. Retrieved 7 July 2012. ^ "BP to Sell Most Company-Owned, Company-Operated Convenience Stores to Franchisees" (Press release). BP. 15 November 2007. Archived from the original on 25 June 2010. Retrieved 5 June 2010. ^ a b "BP: 'An accident waiting to happen'". Fortune. 24 January 2011. Retrieved 13 April 2014. ^ Cobain, Ian; Dyer, Clare (2 May 2007). "BP's Browne quits over lie to court about private life". The Guardian. London. Archived from the original on 29 May 2010. Retrieved 5 June 2010. ^ Barley, Shanta (11 May 2009). "Science & Environment | BP brings 'green era' to a close". BBC News. Retrieved 26 April 2013. ^ Hunt, Nigel (6 December 2012). "Vivergo UK biorefinery starts operations". Reuters. Retrieved 16 September 2017. ^ "EU clears BP, DuPont to take over biobutanol firm". Reuters. 8 July 2009. Retrieved 16 September 2017. ^ "Iraq – Rumaila Oil Field (HVO IRQ-10)". ukti.gov.uk. Archived from the original on 21 May 2013. Retrieved 22 August 2012. ^ "Iraq Lifts Oil Reserves Estimate to 143 Billion Barrels, Overtakes Iran". Bloomberg. 4 October 2010. Retrieved 22 August 2012. ^ Williams, Timothy (6 September 2009). "China Oil Deal Is New Source of Strife Among Iraqis". The New York Times. Retrieved 28 April 2010. ^ "CNPC: To Raise Iraq Rumaila Oilfield Output 10% By Year-End". The Wall Street Journal. Archived from the original on 25 April 2010. Retrieved 12 February 2013. (Subscription required (help)). ^ J. Murdico, Suzanne (2003-12-15). Page 13, The Gulf War : War and Conflict in the Middle East. The Rosen Publishing Group (2004). p. 68. ISBN 9780823945511. ^ Young, Sarah; Falloon, Matt (30 September 2010). "New BP CEO says hopes to restore dividend in 2011". Reuters. Retrieved 30 January 2011. ^ a b Das, Anupreeta; Dezember, Ryan; Flynn, Alexis (9 September 2012). "BP in Deal to Sell Some Gulf Fields". The Wall Street Journal. Retrieved 10 September 2012. (Subscription required (help)). ^ "BP Close to GoM Assets Sale – Analyst Blog". Zacks Equity Research. NASDAQ. 9 September 2012. Retrieved 10 September 2012. ^ a b Cattaneo, Claudia (30 July 2012). "BP back in growth mode, eyes oil sands". Financial Post. Retrieved 19 September 2012. ^ Parraga, Marianna; Wallis, Daniel (27 October 2010). "Venezuela says BP's asset sale valued at $800 mln". Reuters. Retrieved 10 September 2012. ^ Bierman, Stephen; Swint, Brian (27 October 2010). "BP Sells Venezuela, Vietnam Assets to TNK-BP for $1.8 Billion". Bloomberg. Retrieved 10 September 2012. ^ Bergin, Tom; Farge, Emma (15 November 2010). "BP sells Southern Africa fuel retail units". Reuters. Retrieved 10 September 2012. ^ Flynn, Alexis (27 March 2012). "BP sells UK gas assets to Perenco for $399.253 million". Market Watch. Retrieved 10 September 2012. ^ Lee, Mike; Swint, Brian (1 December 2012). "Plains Buys $1.67 Billion BP Unit to Expand Liquids Position". Bloomberg Businessweek. Bloomberg. Archived from the original on 2 May 2013. Retrieved 10 September 2012. ^ McCoy, Daniel (28 February 2012). "BP sell Kansas natural gas assets to Linn Energy for $1.2 billion". Wichita Business Journal. Retrieved 10 September 2012. ^ Chazan, Guy; Sakoui, Anousha (18 September 2012). "BP in talks to sell Texas City refinery". Financial Times. Retrieved 21 September 2012. (Registration required (help)). ^ "BP Agrees to Sell Carson Refinery and ARCO Retail Network in US Southwest to Tesoro for $2.5 Billion" (Press release). BP. 13 August 2012. Archived from the original on 15 August 2012. Retrieved 17 August 2012. ^ "BP To Sell Texas Midstream Gas Assets" (Press release). BP. 10 August 2012. Archived from the original on 15 August 2012. Retrieved 10 September 2012. ^ Hays, Kristen (8 October 2012). "Marathon to buy BP Texas City refinery for up to $2.5 billion". Reuters. Retrieved 22 October 2012. ^ Pulsinelli, Olivia (1 February 2013). "BP completes Texas City refinery sale to Marathon Petroleum". Houston Business Journal. Retrieved 1 February 2013. ^ "BP to sell interest in Draugen field to Shell for $240 mln". Reuters. 13 September 2012. Retrieved 22 October 2012. ^ "BP sells UK LPG distribution business to DCC". Reuters. 8 August 2012. Retrieved 16 September 2017. ^ "BP announces $7.2B partnership with India's Reliance". New York Post. 21 February 2011. Retrieved 9 September 2012. ^ "Reliance Global to buy BP's Malaysian petrochem unit for $230 mn". Business Line. 29 September 2012. Retrieved 22 October 2012. ^ Korsunskaya, Darya; Callus, Andrew (22 October 2012). "Rosneft beefs up with TNK-BP purchase". Reuters. Retrieved 22 October 2012. ^ a b Soldatkin, Vladimir; Callus, Andrew (22 March 2013). "Rosneft pays out in historic TNK-BP deal completion". Reuters. Retrieved 25 March 2013. ^ Perkins, Robert (29 April 2014). "BP takes $520 mil writedown after ditching plan to develop US Utica shale". Platts. Retrieved 22 June 2016. ^ a b Bergin, Tom; Young, Sarah (21 December 2011). "BP turns out lights at solar business". Reuters. Retrieved 21 December 2011. ^ Peltier, Michael (26 October 2012). "BP Changes Ethanol Plans in Florida". Sunshine State News. Retrieved 3 November 2012. ^ Lane, Jim (26 October 2012). "The October Surprise: BP Cancels Plans for US Cellulosic Ethanol Plant". Biofuels Digest. Retrieved 17 September 2017. ^ Lane, Jim (18 January 2015). "BP's exit from cellulosic ethanol: the assets, the auction, the process, the timing, the skinny". Biofuels Digest. Retrieved 16 September 2017. ^ Horne, Suzie (8 May 2015). "BP sells its Vivergo Fuels stake to ABF". Farmers Weekly. Retrieved 16 September 2017. ^ Sapp, Meghan (17 December 2015). "BP and Dupont to mothball UK biobutanol R&D facility by mid-2016". Biofuels Digest. Retrieved 16 September 2017. ^ Soldatkin, Vladimir; Vukmanovic, Oleg; Chestney, Nina (17 June 2014). "BP to sign $20 billion LNG supply deal with China's CNOOC". Reuters. Retrieved 2 April 2016. ^ Lynch, Kerry (19 August 2015). "BP to sign $20 billion LNG supply deal with China's CNOOC". AIN Online. Retrieved 2 April 2016. ^ a b Blum, Jordan (6 January 2016). "BP sells Alabama petrochemical complex to Thai company". Fuel Fix. Retrieved 26 April 2016. ^ "Det Norske Completes Merger with BP Norge, Creates Aker BP". Rigzone. 30 September 2016. Retrieved 10 June 2017. ^ "BP sells Forties North Sea pipeline to Ineos". BBC News. 3 April 2017. Retrieved 3 April 2017. ^ "BP in South American venture with Argentina's Bridas". Reuters. 11 September 2017. Retrieved 26 December 2017. ^ a b "BP Re-Enters Solar Power Market With $200 Million U.K. Deal". Bloomberg.com. 15 December 2017. Retrieved 19 December 2017. ^ a b Lyons Hardcastle, Jessica (1 March 2017). "BP Buys Clean Energy's Renewable Natural Gas Facilities for $155 Million". Environmental Leader. Retrieved 25 April 2018. ^ a b "BP, DuPont bio-isobutanol JV purchases Kansas ethanol plant". Biomass Magazine. 3 April 2017. Retrieved 16 September 2017. ^ Reed, Stanley "BP Makes 10.5 Billion Shale Deal; Its Biggest Since Deepwater Horizons", Reuters via The New York Times, July 27, 2018. Retrieved September 28, 2018. ^ Husseini, Talal "BP to spend $10.5bn in BHP US shale oil and gas assets acquisition", Offshore Technology, July 27, 2018. Retrieved September 28, 2018. ^ DiChristopher, Tom (2019-01-08). "BP just discovered a billion barrels of oil in Gulf of Mexico". www.cnbc.com. Retrieved 2019-01-08. ^ Lawler, Alex; Zhdannikov, Dmitry (12 June 2013). "BP cuts global gas reserves estimate, mostly for Russia". Reuters. Retrieved 17 June 2013. ^ "ICBT Sunbury". BP. Retrieved 9 August 2017. ^ "BP's evidence to the UK Parliament Commons Committee on Science and Technology". UK Parliament. February 2012. Retrieved 12 June 2013. ^ Wachman, Richard (13 October 2011). "BP to expand North Sea oil fields". The Guardian. London. Retrieved 19 June 2012. ^ "On the up for BP's North Sea business". BP Magazine. BP. 2012. Archived from the original on 11 July 2012. Retrieved 22 July 2012. ^ "BP cleared to develop £4.5bn North Sea oilfield". The Daily Telegraph. 13 October 2011. Retrieved 17 September 2017. ^ Tom Bawden (14 October 2011). "BP to pump £4.5bn into North Sea projects". The Independent. London. Retrieved 10 July 2012. ^ "BP activities in the UK". BP. Archived from the original on 14 July 2012. Retrieved 10 July 2012. ^ Florence Tan (30 September 2009). "EPCA '07: BP to debottleneck Hull acetic acid unit". ICIS.com. Retrieved 10 July 2012. (Subscription required (help)). ^ Gosden, Emily (26 December 2016). "BP in talks with grocery store partners to boost global forecourt sales". The Daily Telegraph. Retrieved 9 August 2017. ^ "Who we are". BP. Retrieved 9 August 2017. ^ Fitzsimmons, Emma G. (2 May 2012). "BP Plc". The New York Times. Retrieved 7 June 2012. ^ "BP enters shale oil quest in Ohio". United Press International. 27 March 2012. Retrieved 6 August 2012. ^ "BP in the United States". BP. Retrieved 6 August 2012. ^ "United States". BP. Retrieved 26 April 2016. ^ Pulsinelli, Olivia (3 May 2013). "BP to pay $18M for early restoration projects in Texas". Houston Business Journal. Retrieved 13 May 2013. ^ "Company Overview of BP Exploration & Production Inc". Bloomberg Businessweek. Retrieved 3 November 2012. ^ "Company Overview of BP Corporation North America, Inc". Bloomberg Businessweek. Retrieved 3 November 2012. ^ "Company Overview of BP Products North America, Inc". Bloomberg Businessweek. Retrieved 3 November 2012. ^ "Company Overview of BP America Production Company". Bloomberg Businessweek. Retrieved 3 November 2012. ^ "Company Overview of BP Energy Company". Bloomberg Businessweek. Retrieved 3 November 2012. ^ Reed, Stanley (19 March 2014). "Ban Lifted, BP Bids $42 Million to Win Gulf Oil Leases in U.S. Auction". The New York Times. Retrieved 10 April 2014. ^ Crooks, Ed; Badkar, Mamta; Meyer, Gregory (6 October 2017). "Oil prices hit as US gulf coast faces hurricane". Financial Times. Retrieved 9 May 2018. BP said it had begun removing all remaining offshore personnel and shutting in production at its four operated platforms: Thunder Horse, Mad Dog, Atlantic and Na Kika. Together, those facilities produce about 300,000 barrels per day (48,000 m3/d) of oil and gas equivalent for BP. ^ Ambrose, Jillian (23 January 2017). "BP starts up new $1bn Gulf of Mexico project almost one year early". The Daily Telegraph. Retrieved 25 May 2018. ^ "Gulf of Mexico". BP. Retrieved 25 May 2018. ^ "BP ownership of Alaska pipeline tops 48 percent with Koch sale". Fairbanks Daily News-Miner. 31 October 2012. Retrieved 24 May 2014. ^ Eaton, Collin (21 March 2016). "After years of catch-up, BP eyes edge in shale". Houston Chronicle. Retrieved 17 September 2017. ^ "BP's US Lower 48 unit buys Devon's New Mexico assets". Oil & Gas Journal. 18 December 2015. Retrieved 5 April 2016. ^ Olivia Pulsinelli (4 March 2014). "BP to create new Houston-based business to manage onshore U.S. assets". Houston Business Journal. Retrieved 10 April 2014. ^ Rouan, Rick (27 March 2012). "BP joins Ohio's shale drilling fray with deal for 84K acres". Columbus Business First. Retrieved 25 July 2012. ^ Hasterok, Pamela (26 June 2012). "BP investigates fatal Colorado natgas blast". Reuters. Retrieved 25 July 2012. ^ "BP to Sell Wyoming Assets". Zacks Equity Research. 26 June 2012. Retrieved 31 July 2012. ^ "United States: Exploration and production". BP. 2012. Archived from the original on 8 May 2013. Retrieved 25 July 2012. ^ a b c "United States: Refining". BP. Retrieved 17 September 2017. ^ Haggett, Scott (24 July 2012). "BP-Husky Toledo refinery set for September turnaround". Reuters UK. Retrieved 27 July 2012. ^ "BP-Husky OKs $2.5B for project to boost oil volume". Toledo Blade. 1 December 2010. Retrieved 30 July 2012. ^ Buggs Sixel, Shannon (24 March 2005). "Texas City refinery is nation's third-largest". Houston Chronicle. Retrieved 25 July 2012. ^ Moore, Zachary (15 June 2017). "BP completes upgrade, new reactor at US PTA plant". ICIS. Retrieved 17 September 2017. ^ a b "BP Wind Energy Sites". BP. Retrieved 25 May 2017. ^ Petzet, Alan (28 June 2012). "BP Starts Nile Delta Seth field gas production". Oil & Gas Journal. Pennwell Corporation. Retrieved 9 October 2012. ^ "BP's Seth Yields Gas Before Plan". =Zacks Equity Research. 29 June 2012. Retrieved 1 October 2012. ^ Hromadko, Jan (19 July 2010). "RWE, BP to Jointly Invest $9B in Offshore Egypt Blocks". Rigzone. Retrieved 10 October 2012. ^ "BP Signs Agreement with the Egyptian Ministry of Petroleum and the Egyptian General Petroleum Corporation to Amend the North Alexandria and West Mediterranean Deepwater Concessions" (Press release). BP. 19 July 2010. Retrieved 10 October 2012. ^ "BP Grows Deepwater Exploration Portfolio with Major Win of Angola Acreage" (Press release). BP. 20 December 2011. Retrieved 1 October 2012. ^ "BP gets OK for deepwater gas exploration". China.org.cn. 15 February 2012. Retrieved 21 June 2012. ^ Wan Xu; Wills, Ken (15 February 2012). "BP hopes to drill new S.China Sea gas block this yr". Reuters. Retrieved 30 July 2012. ^ Sharma, Amol; Cauchi, Marietta (21 February 2011). "BP to Make Big India Investment". The Wall Street Journal. Retrieved 21 June 2012. ^ Grieder, Tom (3 February 2009). "Indonesia's Tangguh LNG Project Begins Commissioning". Global Insight. (subscription required). Archived from the original on 22 February 2014. Retrieved 30 July 2012. ^ Suhana, Agus; Rusmana, Yoga (27 May 2011). "BP Plans To Invest $10 Billion in Indonesia in Next 10 Years". Bloomberg. Retrieved 21 June 2012. ^ "Iraq signs deal with BP, CNPC for Rumaila field". Reuters. 8 October 2009. Retrieved 1 October 2012. ^ "BP reaches production milestone in Iraq". UPI. 12 January 2011. Retrieved 21 June 2012. ^ Denton, Vicky (6 May 2015). "BP Australia to invest A$450 million to expand and upgrade retail network". F+L Daily. Retrieved 18 August 2017. ^ McKnight, Gareth (16 May 2017). "$80m overhaul at BP". The West Australian. Retrieved 18 August 2017. ^ Chambers, Matt (18 May 2016). "BP job cuts go deeper as focus turns to fuel retailing". The Australian. Retrieved 18 August 2017. (Subscription required (help)). ^ Lanis, Roman; Govendir, Brett; McClure, Ross (25 April 2017). "Counting the missing billions: How Australia is losing out to oil and gas giants". The Guardian. Retrieved 18 August 2017. ^ Daiss, Tim (15 January 2016). "Woodside hedges bet with extra $2B North West Shelf investment". Rigzone. Retrieved 18 August 2017. ^ Neff, Andrew (7 July 2010). "BP Chief Reassures Azerbaijan on U.K. Firm's Commitment amid Talk of Asset Sales". Global Insight. Retrieved 30 July 2012. ^ Yevgrashina, Lada (1 March 2012). "BP to boost investment in Azeri projects in 2012". Reuters. Retrieved 21 June 2012. ^ "SOCAR and BP sign agreement on development project of oil and gas structures in Azerbaijan". Today.az. 6 July 2010. Retrieved 6 July 2010. ^ Yumich, Seth (12 January 2013). "BP-Georgia General Director – Mr. Neil Dunn". The American Times. Retrieved 27 May 2013. ^ Lananh Nguyen (18 September 2012). "Vitol Sells Diesel; BP Plans Rotterdam Unit Halt: Oil Products". Bloomberg. Retrieved 1 October 2012. ^ "BP in Canada". BP. 2012. Retrieved 9 October 2012. ^ a b "Canadian oil sands". BP. Archived from the original on 19 October 2012. Retrieved 1 October 2012. ^ O'Cinneide, Eoin; Zelinsky, Tonya (16 November 2012). "BP spends big off Nova Scotia". Upstream Online. Retrieved 17 November 2012. (Subscription required (help)). ^ Watkins, Eric (10 September 2010). "Enbridge signs agreement with Husky for Sunrise facilities". Oil & Gas Journal. Pennwell Corporation. Retrieved 11 October 2012. ^ "Devon Energy Fact Sheet" (PDF). Devon Energy. 2010. Archived from the original (PDF) on 18 May 2013. Retrieved 11 October 2012. ^ a b Tilak, John; Williams, Nia (20 April 2017). "BP mulling sale of stakes in Canadian oil sands assets: sources". Reuters. Retrieved 10 June 2017. ^ "BP eyes new work in Trinidad and Tobago". UPI. 15 May 2011. Retrieved 21 June 2012. ^ Flynn, Alexis (6 March 2012). "BP Expands Brazil Exploration Footprint". The Wall Street Journal. Retrieved 19 June 2012. ^ Fick, Jeff; Flynn, Alexis (14 March 2011). "BP Expands Biofuels Business in Brazil". The Wall Street Journal. Retrieved 19 June 2012. ^ "BP expands Brazil ethanol operations". Reuters. 14 September 2011. Retrieved 21 June 2012. ^ "BP PLC Company Description". CNN. 1 April 2011. Retrieved 7 June 2012. ^ "Profile: BP PLC (BP)". Reuters. Retrieved 7 June 2012. ^ a b c Bousso, Ron; Zhdannikov, Dmitry (29 March 2017). "As oil output grows, BP keeps refining stable, expands retail". Reuters. Retrieved 29 March 2017. ^ a b Bousso, Ron; Zhdannikov, Dmitry (29 March 2017). "BP sees trading benefits from oil boom in the Americas". Reuters. Retrieved 29 March 2017. ^ "Marine Assurance". BP. 1 January 2008. Archived from the original on 19 July 2010. Retrieved 17 July 2010. ^ "Our fleet". BP. Retrieved 17 July 2010. ^ "Service stations and shops". BP. Archived from the original on 19 April 2013. Retrieved 4 April 2013. ^ "History of ARCO/ampm". BP. Archived from the original on 17 April 2016. Retrieved 17 September 2010. ^ "BP Truck Stop Network". BP. Retrieved 17 September 2010. ^ "Castrol". BP. Archived from the original on 12 June 2013. Retrieved 17 September 2010. ^ "Refineries and petrochemicals plants". BP. 6 April 2017. Retrieved 7 May 2018. ^ a b Bousso, Ron; Twidale, Susanna (15 December 2017). "BP returns to solar with investment in Lightsource". Reuters. Retrieved 15 February 2019. ^ Schiller, Meghan (11 July 2012). "BP eyes wind, biofuels in alternative energy". Marketwatch.com. Retrieved 27 April 2013. ^ Wells, Ken (10 May 2012). "Big Oil's Big in Biofuels". Bloomberg Businessweek. Retrieved 24 September 2012. ^ "Company Overview of BP Alternative Energy Ltd". Bloomberg Businessweek. Retrieved 3 November 2012. ^ "BP Sustainability Review 2013" (PDF). BP. Archived from the original (PDF) on 11 June 2014. Retrieved 18 June 2014. ^ Perkins, Robert; Forster, Christine (3 April 2013). "BP puts US wind farms up for sale". Platts. Retrieved 3 April 2013. ^ Bakewell, Sally (3 April 2013). "BP to Sell U.S. Wind Business in Retreat to Fossil Fuels". Bloomberg. Retrieved 10 April 2013. (Subscription required (help)). ^ Peixe, Joao (4 April 2013). "BP to sell US wind assets, renew focus on petroleum". The Christian Science Monitor. Retrieved 27 April 2013. ^ a b Zipp, Kathie (20 December 2017). "BP is back in the solar game, teaming up with Lightsource". Solar Power World. Retrieved 26 December 2017. ^ "BP expands Brazil ethanol operations". Reuters. 14 September 2011. Retrieved 27 April 2013. ^ Herndon, Andrew (25 October 2011). "Chromatin Raises $10 Million as BP and Unilever Become Investors". Bloomberg. Retrieved 4 October 2012. ^ "Vedrezyne closes new financing round". CheckBiotech. 11 May 2011. Archived from the original on 22 November 2011. Retrieved 4 October 2012. ^ Baker, Karl (28 August 2015). "DuPont bets on billion-dollar ethanol industry". Delaware online. Retrieved 16 September 2017. ^ "Air BP Announces Third Biojet-Supplied Location at Bergen Airport" (Press release). Air BP. 21 August 2017. Retrieved 17 September 2017. ^ Arnold, Michael; Benmeleh, Yaacov (24 May 2018). "BP Makes First Foray Into Israel With Battery Startup Deal". Bloomberg. Retrieved 27 May 2018. ^ Bousso, Ron; Zhdannikov, Dmitry (21 May 2018). "Exclusive: BP back on its feet but CEO senses no respite". Reuters. Retrieved 27 May 2018. ^ "Recapping on BP's long history of greenwashing". Greenpeace. 21 May 2010. Retrieved 13 April 2014. ^ "BP's Slick Greenwashing". Mother Jones. Retrieved 15 March 2015. ^ "Big Oil and Energy Traders Manipulating Consumers". accuracy.org. Retrieved 15 March 2015. ^ Pearce, Fred (20 November 2008). "Greenwash: BP and the myth of a world 'Beyond Petroleum'". The Guardian. London. ^ "Helge Lund to succeed Carl-Henric Svanberg as BP chairman". BP Plc. Retrieved 21 March 2019. ^ "The Board". BP Plc. Retrieved 21 March 2019. ^ a b "Business: The Company File Green light for BP Amoco". BBC News. 30 December 1998. Retrieved 28 August 2012. ^ a b "BP pumps up 2Q profit". CNN. 8 August 2000. Retrieved 28 August 2012. ^ "Share capital". BP. 2012. Archived from the original on 15 August 2012. Retrieved 11 September 2012. ^ Brierly, David (4 April 1999). "BP strikes it rich in America". The Independent. London. Retrieved 28 August 2012. ^ "BP Amoco's 4th-Quarter Profit Doubled on Rise in Oil Prices". The New York Times. 16 February 2000. Retrieved 28 August 2012. ^ Mufson, Steven (16 January 2007). "BP Failed on Safety, Report Says". The Washington Post. Retrieved 17 September 2017. ^ Voss, Stephen (24 April 2007). "BP Profit Falls on Lower Oil, Gas Prices, Production". Bloomberg. Archived from the original on 8 March 2013. Retrieved 28 August 2012. ^ Werdigier, Julia (28 October 2008). "BP shows ability to navigate volatile oil prices". The New York Times. Retrieved 28 August 2012. ^ Smith, Hannah (20 April 2011). "BP one year on: How events unfolded". IFAonline. Retrieved 28 August 2012. ^ Hays, Kristen; Schnurr, Leah (7 July 2010). "BP shares soar as spill spreads". Reuters. Retrieved 28 August 2012. ^ Peralta, Eyder (31 July 2012). "BP Posts $1.4 Billion Loss, Surprising The Market". NPR. Retrieved 28 August 2012. ^ Brown, Abram (22 March 2013). "BP: $8 Billion Share Buyback After TNK-BP Sale Suggests Stock Is Cheap. Is It?". Forbes. Retrieved 14 April 2013. ^ a b c Swint, Brian (10 April 2013). "BP $8 Billion Buyback Leaves Investors Cold 3 Years After Spill". Bloomberg. Retrieved 13 April 2013. ^ "BP Plc: Institutional shareholders". ft.com/marketsdata. 27 May 2018. Retrieved 27 May 2018. ^ "Beyond petroleum". BP. Archived from the original on 9 March 2010. Retrieved 6 May 2010. ^ Gregory Solman for Adweek 21 January 2008 Coloring Public Opinion? ^ a b Interviewer: Amy Goodman, Guest: Antonia Juhasz (5 May 2010). "BP Funnels Millions into Lobbying to Influence Regulation and Re-Brand Image". Amy Goodman's Weekly Column. Democracy Now. ^ "BP Funnels Millions into Lobbying to Influence Regulation and Rebrand Image". Democracy Now!. Retrieved 15 March 2015. ^ Van Buskirk, Eliot (9 June 2010). "BP's Social Media Campaign Going About as Well as Capping That Well". Wired. Retrieved 2 April 2013. ^ Visser, Nick (16 April 2013). "WATCH: A History Of BP's Ads Since The Gulf Spill". Huffington Post. ^ Shelley DuBois (1 September 2010). "BP's advertising budget during the spill neared $100 million - Sep. 1, 2010". CNN. Retrieved 26 April 2013. ^ "BP backs global discrimination research". Financial Times. 10 February 2014. Retrieved 7 November 2017. ^ Driver, Anna (30 January 2015). "Exxon adds discrimination protections in U.S. for LGBT workers". Reuters. Retrieved 7 November 2017. ^ Blum, Jordan (16 January 2016). "In energy sector, coming out 'can put you at risk'". Houston Chronicle. Retrieved 7 November 2017. ^ "Corporate Equality Index 2018" (PDF). Human Rights Campaign. Retrieved 17 November 2017. ^ a b Hunn, David (26 May 2017). "BP boosts benefits, includes gender reassignment surgery". Houston Chronicle. Retrieved 7 November 2017. ^ "Stonewall Workplace Equality Index" (PDF). Stonewall. Retrieved 7 November 2017. ^ Andrews, Travis M. (1 August 2017). "Houston oil executives join Dallas business leaders in denouncing Texas 'bathroom bill'". The Washington Post. Retrieved 7 November 2017. ^ Overland, Indra (2016). "Ranking Oil, Gas and Mining Companies on Indigenous Rights in the Arctic". ResearchGate. Arran. Retrieved 2 August 2018. ^ Times, Seattle. "Carbon-fee opponents raise record $25.8M to defeat I-1631". Retrieved 23 October 2018. ^ "E&E News". Retrieved 23 October 2018. ^ Cornelissen, Joep (2004). Corporate Communications: Theory and Practice. SAGE. p. 51. ISBN 978-0761944362. ^ "BP Exploration [Alaska] Pleads Guilty To Hazardous Substance Crime Will Pay $22 Million, Establish Nationwide Environmental Management System". United States Environmental Protection Agency. 23 September 1999. Archived from the original on 5 July 2010. Retrieved 11 June 2010. ^ "AQMD Seeks $319 Million Fine from BP for Air Pollution Violations". Aqmd.gov. Archived from the original on 10 May 2013. Retrieved 26 April 2013. ^ "AQMD Files $183 Million Lawsuit Against BP for Air Pollution Violations". Aqmd.gov. 20 January 2005. Archived from the original on 10 May 2013. Retrieved 26 April 2013. ^ "AQMD and BP Settle Refinery Emission Violations". Aqmd.gov. 17 March 2005. Archived from the original on 10 May 2013. Retrieved 26 April 2013. ^ Langford, Cameron (15 April 2013). "Texas Refinery Neighbors Sue BP for Billions". Courthouse News Service. Archived from the original on 19 April 2013. Retrieved 19 April 2013. ^ "Fuel Fix » BP sued for gas release at its former Texas City plant". Fuel Fix. Retrieved 15 March 2015. ^ Rice, Harvey (16 April 2013). "BP sued again for gas release". Houston Chronicle. Retrieved 16 April 2013. ^ ABC News. "U.S. News - National News". ABC News. Retrieved 15 March 2015. ^ Verkaik, Robert (22 July 2006). "BP pays out millions to Colombian farmers – Americas – World". The Independent. London. Retrieved 26 April 2013. ^ Verkaik, Robert (22 July 2006). "BP pays out millions to Colombian farmers". The Independent. London. Archived from the original on 17 June 2010. Retrieved 5 June 2010. ^ Diane Taylor (11 November 2009). "BP faces damages claim over pipeline through Colombian farmland". The Guardian. London. Retrieved 26 April 2013. ^ "BP and Oil Sands: Frequently Asked Questions" (PDF). BP. 2012. Archived from the original (PDF) on 21 August 2012. Retrieved 22 October 2012. ^ Jones, Jeffrey (20 January 2010). "FACTBOX-Money flows again in Canada's oil sands industry". Reuters. Retrieved 25 September 2012. ^ Schor, Elana (16 August 2011). "Reclaimed Dump Sparks Oil Sands Sustainability Debate". The New York Times. Retrieved 5 October 2012. ^ Macalister, Terry (23 August 2009). "Cree aboriginal group to join London climate camp protest over tar sands". The Guardian. Retrieved 25 September 2012. ^ Hansen James (9 May 2012). "Game Over for the Climate". OP-ED editorial. Retrieved 23 July 2014. ^ Damian Carrington (27 November 2011). "UK secretly helping Canada push its oil sands project | Environment". The Guardian. London. Retrieved 26 April 2013. ^ Herron, James (15 April 2010). "BP Defeats Oil Sands Critics, But Controversy Won't Die - The Source - WSJ". The Wall Street Journal. Retrieved 26 April 2013. ^ "2006 - 04/25/2006 - OSHA Fines BP $2.4 Million for Safety and Health Violations". osha.gov. Archived from the original on 17 March 2015. Retrieved 15 March 2015. ^ "BP fined $2.4M for refinery safety problems". CNN. 25 April 2006. Retrieved 16 April 2013. ^ Steve Gelsi, MarketWatch (8 May 2008). "Refiners to pay $422 million settlement on MTBE - MarketWatch". Articles.marketwatch.com. Archived from the original on 2 May 2013. Retrieved 26 April 2013. ^ "Oil companies settle MTBE lawsuits - US news - Environment". NBC News. Retrieved 26 April 2013. ^ Thomas, Pierre (27 May 2010). "BP's Dismal Safety Record". ABC News. Retrieved 17 April 2013. ^ J. Morris & M.B. Pell (16 May 2010). "Renegade Refiner: OSHA Says BP Has "Systemic Safety Problem"". The Center for Public Integrity. Archived from the original on 19 August 2012. Retrieved 11 June 2010. ^ Lustgarten, Abraham (8 June 2010). "Reports at BP over years find history of problems". ProPublica. Retrieved 17 April 2013. ^ Gribben, Roland (3 May 2010). "BP chief Tony Hayward fights to limit the damage after Gulf of Mexico rig disaster – Telegraph". The Daily Telegraph. London. Retrieved 26 April 2013. ^ "The Story of the Sea Gem, the first rig to discover North Sea Gas in the UK sector". Dukes Wood Oil Museum. Archived from the original on 2 June 2009. Retrieved 13 June 2010. ^ Olson, Bradley (8 October 2012). "BP Sells Texas Refinery to Marathon for $598 Million". Bloomberg News. ^ a b c ""Gulf oil spill: BP has a long record of legal, ethical violations" 8 May 2010 by McClatchy Washington Bureau". Mcclatchydc.com. Archived from the original on 5 June 2010. Retrieved 5 June 2010. ^ Lyall, Sarah (12 July 2010). "In BP's Record, a History of Boldness and Costly Blunders". The New York Times. ^ "Baker Panel Report" (PDF). Archived from the original (PDF) on 23 May 2010. Retrieved 5 June 2010. ^ "U.S. Chemical Safety And Hazard Investigation Board Investigation Report on the BP Refinery Explosion and Fire of 23 March 2005 and BP's Safety Culture" (PDF). Archived from the original (PDF) on 28 May 2010. Retrieved 5 June 2010. ^ "#07-850: 10-25-07 British Petroleum to Pay More Than $370 Million in Environmental Crimes, Fraud Cases". Justice.gov. Retrieved 26 April 2013. ^ Seba, Erwin (12 July 2012). "BP pays $13 mln to settle Texas refinery safety probe". Reuters. Retrieved 1 February 2013. ^ "BP fatal blasts were 7 years ago today". galvestondailynews.com. Archived from the original on 5 August 2012. Retrieved 15 March 2015. ^ Martin, Florian (11 November 2011). "BP fined $50 million for violating Texas Clean Air Act". The Bay Area Citizen. Retrieved 19 April 2013. ^ a b Tresaugue, Matthew (3 November 2011). "BP to pay $50 million to settle state blast claims". Houston Chronicle. Retrieved 19 April 2013. ^ "Jury Awards BP Workers $100 Million in Toxic Substance Case". The New York Times. Associated Press. 18 December 2009. Retrieved 19 March 2015. ^ Clanton, Brett (16 March 2010). "BP wins $99 million reduction in Texas City fumes case". Houston Chronicle. Retrieved 19 March 2015. ^ "BP Texas Refinery Had Huge Toxic Release Just Before Gulf Blowout". ProPublica. Archived from the original on 15 July 2010. Retrieved 17 July 2010. ^ "Attorney General Abbott Charges BP With Additional Violations At Texas City Refinery". The state of Texas. 9 August 2010. Retrieved 19 March 2015. ^ "More than 50,000 Texas City residents sue BP". ABC13 Houston. Retrieved 15 March 2015. ^ "Jury finds BP negligent in Texas emissions event". WFAA. 11 October 2013. Archived from the original on 17 October 2013. Retrieved 15 March 2015. ^ "Jury absolves BP in gas leak trial". Houston Chronicle. Retrieved 15 March 2015. ^ a b "GC-2 Oil Transit Line Release Situation Report" (PDF). dec.state.ak.us. Alaska Department of Environmental Conservation. 28 March 2008. Retrieved 21 January 2013. ^ a b Yereth Rosen (29 November 2007). "BP set to plead in Prudhoe Bay pipeline case". Reuters UK. Retrieved 21 January 2013. ^ Chris Baltimore; Robert Campbell (16 May 2007). "BP admits budget a factor in Alaska spill". Reuters UK. Retrieved 21 January 2013. ^ Andrew Clark in New York (1 May 2007). "BP accused of 'draconian' cost cuts prior to Alaskan pipeline spill". The Guardian. London. Retrieved 5 June 2010. ^ Schwartz, Nelson D. (31 October 2006). "Can BP bounce back? A disastrous leak. A deadly explosion. CEO John Browne must turn his troubled oil giant around, but time is running out". Fortune. CNN. Retrieved 17 March 2013. ^ Andrea Lyn Van Benschoten (22 May 2006). "BP Prudhoe Bay Oil Leak Cleanup Completed". Manufacturing.net. Retrieved 22 January 2013. ^ a b Kurt Kleiner (9 August 2006). "Bacteria may have eaten through Alaskan oil pipe". New Scientist. Retrieved 20 January 2013. ^ a b Chris Isidore (8 August 2006). "New worry for drivers: BP shuts oilfield". CNN. Retrieved 21 January 2013. ^ Alan Zibel (22 May 2007). "BP shuts 100,000 barrels of Alaska oil". USA Today. Retrieved 21 January 2013. ^ "Alaska Update". BP. 2 October 2006. (subscription required). ^ "Flow Station 2 Transit Oil Line Release Situation Report" (PDF). dec.state.ak.us. Alaska Department of Environmental Conservation. 14 August 2006. Retrieved 21 January 2013. ^ Kristen Nelson (18 February 2007). "BP replacing entire transit system". Petroleum News. Retrieved 22 January 2013. ^ "BP to start replacing Alaska pipelines". Calgary Herald. 1 March 2008. Archived from the original on 21 May 2013. Retrieved 22 January 2013. ^ "Greater Prudhoe Bay" (PDF). BP. 2012. Archived from the original (PDF) on 29 December 2010. Retrieved 22 January 2013. ^ "BP fined $20 million for pipeline corrosion", Anchorage Daily News, 26 October 2007. Retrieved 11 November 2007. ^ "Methanol and crude spill from Prudhoe Bay pipeline". 2 News KTUU.com. Associated Press. 16 October 2007. Archived from the original on 13 November 2007. Retrieved 11 June 2010. ^ "USDOJ: Environment and Natural Resources Division : U.S. v. BP Exploration & Production, Inc. (D. La.)". justice.gov. Retrieved 15 March 2015. ^ "BP agrees to $25M penalty for 2006 Alaska spills". The Washington Examiner. 3 May 2011. Retrieved 17 September 2017. ^ a b Yevgrashina, Lada (17 September 2008). "BP halves Azeri oil production after gas leak". Reuters. Retrieved 1 July 2012. ^ a b Walt, Vivienne (1 July 2010). "WikiLeaks: BP's 'Other' Offshore Drilling Disaster". Time. Retrieved 1 July 2012. ^ Gismatullin, Eduard (17 September 2008). "BP Shuts Down Two Azeri Oil Platforms After Gas Leak". Bloomberg. Archived from the original on 8 March 2013. Retrieved 1 July 2012. ^ US Embassy in Azerbaijan (8 October 2008). US embassy cables: BP may never know cause of gas leak, US told [Original title: Azerbaijan seeks to develop ACG deep gas, can supply Georgia with winter gas]. The Guardian (Report). Retrieved 1 July 2012. ^ Yevgrashina, Lada (10 October 2008). "BP resumes oil output at one Azeri platform". Reuters. Retrieved 1 July 2012. ^ Yevgrashina, Lada (23 December 2008). "BP partially resumes production at Azeri platform". Reuters. Retrieved 1 July 2012. ^ Tim Webb (16 December 2010). "WikiLeaks cables: BP suffered blowout on Azerbaijan gas platform". The Guardian. UK. Archived from the original on 16 December 2010. Retrieved 16 December 2010. ^ US Embassy in Azerbaijan (15 January 2009). US embassy cables: BP blames gas leak on 'bad cement job' [Original title: Azerbaijan: BP downbeat on 2009 Shah Deniz phase two progress]. The Guardian (Report). Retrieved 1 July 2012. ^ "Frontline: The Spill". Frontline on PBS. 26 October 2010. Retrieved 27 March 2013. ^ On Scene Coordinator Report on Deepwater Horizon Oil Spill (PDF) (Report). September 2011. Archived from the original (PDF) on 2017-07-27. Retrieved 22 February 2013. ^ Deepwater Horizon Marine Casualty Investigation Report (PDF) (Report). Office of the Maritime Administrator. 17 August 2011. Retrieved 25 February 2013. ^ Bousso, Ron (16 January 2018). "BP Deepwater Horizon costs balloon to $65 billion". Reuters. Retrieved 31 May 2018. ^ Ward, Andrew (1 May 2018). "BP hints at future dividend increases". Financial Times. Retrieved 31 May 2018. (Subscription required (help)). ^ Hays, Kristen; Reddall, Braden (22 February 2013). "U.S. Gulf Coast oil spillers about to face day in court". Reuters. Retrieved 7 June 2013. ^ Weber, Harry R. (27 April 2013). "BP seeks to spread blame as first phase of spill trial ends". Houston Chronicle. Retrieved 7 June 2013. ^ "US to give BP evidence on size of Gulf oil spill". Chicago Tribune. Reuters. 11 April 2012. Retrieved 17 November 2012. ^ Biello, David (25 April 2011). "One Year After BP Oil Spill, At Least 1.1 Million Barrels Still Missing". Scientific American. Archived from the original on 14 November 2012. Retrieved 17 November 2012. ^ "BP CEO Dudley Denied 2012 Share Bonus on 8% Stock Price Drop". Bloomberg. ^ Smith, Matt (19 April 2015). "Five Years After BP Disaster, Gulf of Mexico's Fishing Industry Continues to Struggle". Vice News. Retrieved 31 May 2018. ^ Ritchie, Brent W.; Crotts, John C.; Zehrer, Anita; Volsky, George T. (January 2014). "Understanding the Effects of a Tourism Crisis: The Impact of the BP Oil Spill on Regional Lodging Demand". Journal of Travel Research. 53 (1): 12–25. doi:10.1177/0047287513482775. ^ a b Ainsworth, Cameron H. (25 January 2018). "Impacts of the Deepwater Horizon oil spill evaluated using an end-to-end ecosystem model". PLoS One. 13 (1): e0190840. doi:10.1371/journal.pone.0190840. PMC 5784916. PMID 29370187. ^ Schneyer, Joshua (27 September 2010). "U.S. oil spill waters contain carcinogens: report". Reuters. Retrieved 1 October 2010. ^ Ortmann, Alice C.; Anders, Jennifer; Shelton, Naomi; Gong, Limin; Moss, Anthony G.; Condon, Robert H. (July 2012). "Dispersed Oil Disrupts Microbial Pathways in Pelagic Food Webs". PLOS ONE. 7 (7): e42548. doi:10.1371/journal.pone.0042548. PMC 3409195. PMID 22860136. e42548. ^ Mitra, Siddhartha; Kimmel, David G.; Snyder, Jessica; Scalise, Kimberly; McGlaughon, Benjamin D.; Roman, Michael R.; Jahn, Ginger L.; Pierson, James J.; Brandt, Stephen B.; Montoya, Joseph P.; Rosenbauer, Robert J.; Lorenson, Thomas D.; Wong, Florence L.; Campbell, Pamela L. (20 March 2012). "Oil from Deepwater Horizon disaster entered food chain in the Gulf of Mexico". Geophysical Research Letters. Sciencedaily.com. 39: n/a. doi:10.1029/2011GL049505. Retrieved 1 June 2012. ^ "Record Dolphin, Sea Turtle Deaths Since Gulf Spill". DNews. Retrieved 15 March 2015. ^ "BP Oil Spill: Dolphins Plagued By Death, Disease Years After Rig Explosion". Huffington Post. 12 February 2014. Retrieved 17 February 2014. ^ Gander, Kashmira (17 February 2014). "Dolphins 'suffering miscarriage, lung disease, losing teeth after BP oil spill' researchers claim". The Independent (UK). London. Retrieved 17 February 2014. ^ "Study: "Dirty bathtub" buried oil from BP spill". cbsnews.com. 29 January 2013. Retrieved 15 March 2015. ^ Megan Boehnke. "UT experts: BP oil spill gone from deep ocean, but remains in marshes". KNS. Retrieved 15 March 2015. ^ Dermansky, Julie (20 April 2013). "Three Years After the BP Spill, Tar Balls and Oil Sheen Blight Gulf Coast". The Atlantic. Retrieved 29 April 2013. ^ "For BP Cleanup, 2013 Meant 4.6 Million Pounds Of Oily Gunk". NPR. 21 December 2013. Retrieved 15 March 2015. ^ Pittman, Craig (23 August 2013). "Oil from BP spill pushed onto shelf off Tampa Bay by underwater currents, study finds". Tampa Bay Times. Retrieved 15 March 2015. ^ McCormick, Lacey (27 June 2013). "40,000-Pound Tar Mat Reminds Us the Oil Spill is Not Over". Wildlife Promise. Retrieved 15 March 2015. ^ Sammarco, Paul W.; Kolian, Steve R.; Warby, Richard A.F. ; Bouldin, Jennifer L.; Subra, Wilma A.; Porter, Scott A. (2013). "Distribution and concentrations of petroleum hydrocarbons associated with the BP/Deepwater Horizon Oil Spill, Gulf of Mexico". Marine Pollution Bulletin. 73: 129–143. doi:10.1016/j.marpolbul.2013.05.029. Retrieved 15 March 2015. ^ "U.S. seafood landings reach 14-year high in 2011". U.S. National Oceanic and Atmospheric Administration. 5 October 2012. Retrieved 17 February 2014. ^ Sahagun, Louis (13 February 2014). "Toxins released by oil spills send fish hearts into cardiac arrest". Los Angeles Times. Retrieved 17 February 2014. ^ Schleifstein, Mark (13 February 2014). "BP Deepwater Horizon spill oil causes heart damage that can kill tuna, new study finds". The Times-Picayune, New Orleans. Retrieved 17 February 2014. ^ "Tuna study reveals how pollution causes heart problems". The Australian. 14 February 2014. Retrieved 18 February 2014. ^ a b Wines, Michael (24 March 2014). "Fish Embryos Exposed to Oil From BP Spill Develop Deformities, a Study Finds". The New York Times. Retrieved 25 March 2014. ^ a b c "BP Deepwater Horizon spill: Scientists say seafood safe, but health effects being measured". NOLA.com. Retrieved 15 March 2015. ^ "Crude Solution". sixtyminutes. Archived from the original on 30 October 2013. Retrieved 15 March 2015. ^ Dahr Jamail. "BP's 'widespread human health crisis'". aljazeera.com. Retrieved 15 March 2015. ^ "Coast Guard Grounds Ships Involved in Spill Cleanup After 7 Fall Ill; BP Reportedly Preventing Fishermen from Wearing Respirators". Democracy Now!. Retrieved 15 March 2015. ^ Vanhemert, Kyle. "BP Reportedly Preventing Clean-Up Workers From Wearing Respirators". Gizmodo. Retrieved 5 March 2014. ^ Cohen, Elizabeth (31 May 2010). "Fisherman files restraining order against BP". CNN. Retrieved 5 March 2014. ^ Elana, Schor (9 July 2010). "Petition Urges Obama Admin to Protect Gulf Spill Cleanup Workers". NYT. Retrieved 5 March 2014. ^ "Study Reveals Link Between Oil Spill Exposure and Hematologic and Hepatic Toxicity". elsevier.com. Retrieved 15 March 2015. ^ "The Facts About Dispersants, November 13, 2013". The State of the Gulf: BP Sets the Record Straight. BP. Archived from the original on 12 December 2013. Retrieved 5 December 2013. ^ "U.S. District Court - Eastern District of Louisiana". uscourts.gov. Retrieved 15 March 2015. ^ Krauss, Clifford (14 March 2014). "U.S. Agrees to Allow BP Back Into Gulf Waters to Seek Oil". The New York Times. p. 1. Retrieved 14 March 2014. ^ Fisk, Margaret Cronin; Calkins, Lauren Brubaker; Feeley, Jef (4 September 2014). "'Worst Case' BP Ruling on Gulf Spill Means Billions More in Penalties". Bloomberg LLP. Retrieved 5 September 2014. ^ Robertson, Campbell; Krauss, Clifford (4 September 2014). "BP May Be Fined Up to $18 Billion for Spill in Gulf". The New York Times. Retrieved 6 September 2014. ^ "White House: BP Will Pay $20B Into Gulf Spill Fund". NPR. 16 June 2010. Retrieved 17 February 2014. ^ Weisman, Jonathan & Chazan, Guy (17 June 2010). "BP Agrees to $20 Billion Fund". The Wall Street Journal. Retrieved 17 February 2014. ^ "BP appeal to stop 'fictitious' U.S. oil spill claims fails". Yahoo Finance. Reuters. 11 January 2014. Retrieved 18 January 2014. ^ Fahey, Jonathan; Kahn, Chris (3 March 2012). "BP begins to put spill behind it with settlement". Boston Globe. Associated Press. Retrieved 18 January 2014. ^ "BP admits 'lobbying UK over Libya prisoner transfer scheme but not Lockerbie bomber'". Telegraph.co.uk. 15 July 2010. Retrieved 15 March 2015. ^ "BP's admits role in Lockerbie bomber's release". SFGate. Retrieved 15 March 2015. ^ Terry Macalister & Michael White (16 April 2002). "BP stops paying political parties". The Guardian. London. Archived from the original on 16 December 2008. Retrieved 5 June 2010. ^ Leonnig, Carol D. (29 June 2010). "Despite BP corporate code, firm has made political contributions". The Washington Post. ISSN 0190-8286. Retrieved 23 March 2013. ^ "Obama was top recipient of BP-related dollars in 2008". CNN. 5 May 2010. Retrieved 23 March 2013. ^ "Exxon, Chevron, BP Greased Obama's Campaign". Retrieved 23 March 2013. ^ Juhasz, Antonia (2 May 2010). "BP spends millions lobbying as it drills ever deeper and the environment pays". The Observer. UK. Archived from the original on 5 May 2010. Retrieved 6 May 2010. ^ "Complaint for Injunctive and Other Equitable Relief and Civil Monetary Penalties Under the Commodities Exchange Act" (PDF). Commodity Futures Trading Commission. 28 June 2008. Retrieved 9 September 2012. ^ a b "BP unit accused of price manipulation". NBC News. Associated Press. 29 June 2006. Retrieved 7 September 2012. ^ a b Fowler, Tom (29 January 2011). "Appeals court sides with BP propane traders". Houston Chronicle. Retrieved 7 September 2012. ^ Pelofsky, Jeremy (20 April 2012). "Oil price manipulation seldom prosecuted under Obama". Reuters. Retrieved 7 September 2012. ^ "BP Agrees to Pay a Total of $303 Million in Sanctions to Settle Charges of Manipulation and Attempted Manipulation in the Propane Market, Oct. 25, 2007". Commodity Futures Trading Commission. Retrieved 29 April 2013. ^ Webb, Tim (2 February 2011). "BP faces investigation for allegedly manipulating gas market". The Guardian. London. Retrieved 15 September 2012. ^ McAllister, Edward; Silha, Joe; Bergin, Tom (2 February 2011). "U.S. probes BP for gas market manipulation". Reuters. Retrieved 15 September 2012. ^ "FERC: BP Gamed Market at Houston Ship Channel". Natural Gas Intelligence. Intelligence Press Inc. 1 August 2011. Retrieved 24 May 2014. ^ James, William; Zhdannikov, Dmitry (15 May 2013). "Oil pricing probe widens, Britain pledges tough action". Reuters. Retrieved 15 May 2013. ^ "Antitrust: Commission confirms unannounced inspections in oil and biofuels sectors" (Press release). European Commission. 14 May 2013. Retrieved 15 May 2013. ^ White, Aoife; Bodoni, Stephanie; Levring, Peter; Sebag, Gaspard (7 December 2015). "Big Oil Let Off Hook Days After EU Drops Wall Street Probe". Bloomberg. Retrieved 18 December 2015. ^ a b David Brennan (6 April 2018). "Massive Oil Spill 'Welcome Boost' To Economy, Says BP". Newsweek. Retrieved 10 April 2018. ^ "Behind the pricing: Internal email lifts veil on BP's petrol prices". Stuff. 30 April 2018. Retrieved 24 May 2018. Alsharhan, A. S.; Nairn, A. E. M. (1997). Sedimentary basins and petroleum geology of the Middle East (2 ed.). Elsevier. ISBN 978-0-444-82465-3. Atabaki, Touraj; Bini, Elisabetta; Ehsani, Kaveh, eds. (2018). Working for Oil: Comparative Social Histories of Labor in the Global Oil Industry. Springer. ISBN 9783319564456. Bamberg, James H (1994). The History of the British Petroleum Company: The Anglo-Iranian Years, 1928–1954. vol. II. Cambridge: Cambridge University Press. ISBN 9780521259507. Bamberg, James H (2000). The History of the British Petroleum Company: British Petroleum and Global Oil, 1950–1975: The Challenge of Nationalism. vol. III. Cambridge: Cambridge University Press. ISBN 9780521785150. Bayne Fisher, W. William; Avery, P.; Hambly, G. R. G.; Melville, C. (1991). The Cambridge History of Iran, Volume 7. Cambridge University Press. p. 1096. ISBN 9780521200950. Beale, Nicholas (2012). Constructive Engagement: Directors and Investors in Action. Gower Publishing. ISBN 9781409457824. Boscheck, Ralf (2008). Strategies, Markets and Governance: Exploring Commercial and Regulatory Agendas. Cambridge University Press. p. 360. ISBN 9780521868457. BP. Annual Report and Form 20-F 2015 (PDF). BP. Annual Report and Form 20-F 2016 (PDF). BP. Annual Report and Form 20-F 2017 (PDF). Brune, Lester H. (2003). Burns, Richard Dean, ed. Chronological History of U.S. Foreign Relations: 1932-1988 (2 ed.). Routledge. ISBN 978-0-415-93916-4. Ferrier, R.W. (1982). The History of the British Petroleum Company: The Developing Years 1901–1932. vol. I. Cambridge: Cambridge University Press. ISBN 9780521246477. Kinzer, Stephen (2003). All the Shah's Men: An American Coup and the Roots of Middle East Terror. Wiley. p. 272. ISBN 9780471265177. Lauterpacht, E. (1973). International Law Reports. Cambridge University Press. p. 560. ISBN 9780521463911. Louis, Wm. Roger (2007). Ends of British Imperialism: The Scramble for Empire, Suez, and Decolonization. I.B.Tauris. p. 1082. ISBN 9781845113476. Meyer, Karl E; Brysac, Shareen (2008). Kingmakers: The Invention of the Modern Middle East. New York: W.W. Norton. ISBN 9780393061994. Sztucki, Jerzy (1984). Interim measures in the Hague Court. Brill Archive. ISBN 9789065440938. Vassiliou, M. S. (2009). Historical Dictionary of the Petroleum Industry : Volume 3. Scarecrow Press. p. 662. ISBN 9780810859937.